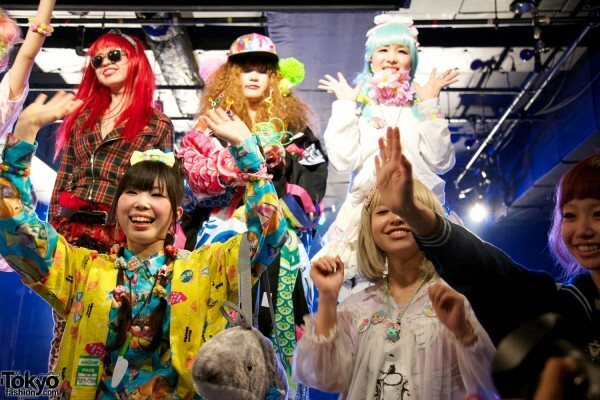 Harajuku Fashion Walk – Tokyo’s most kawaii street fashion parade – takes place every other month, with the next one planned for this coming weekend. When the Fashion Walk kids aren’t out walking the streets of Harajuku together in colorful outfits, what do they do for fun? They organize parties where they can dress up in even more colorful fashion and hang out with friends. 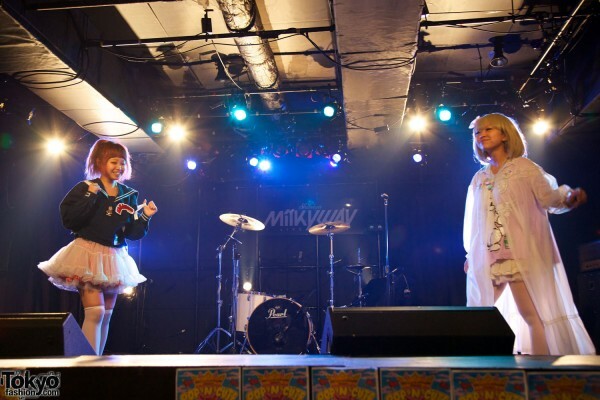 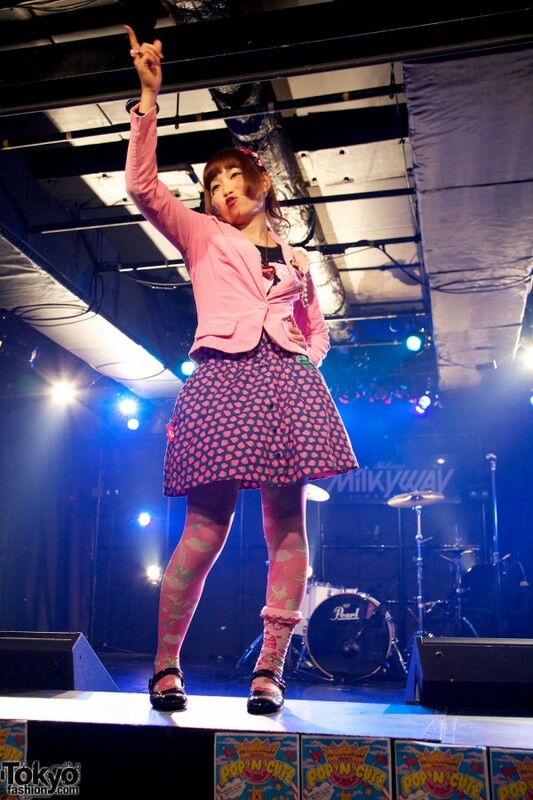 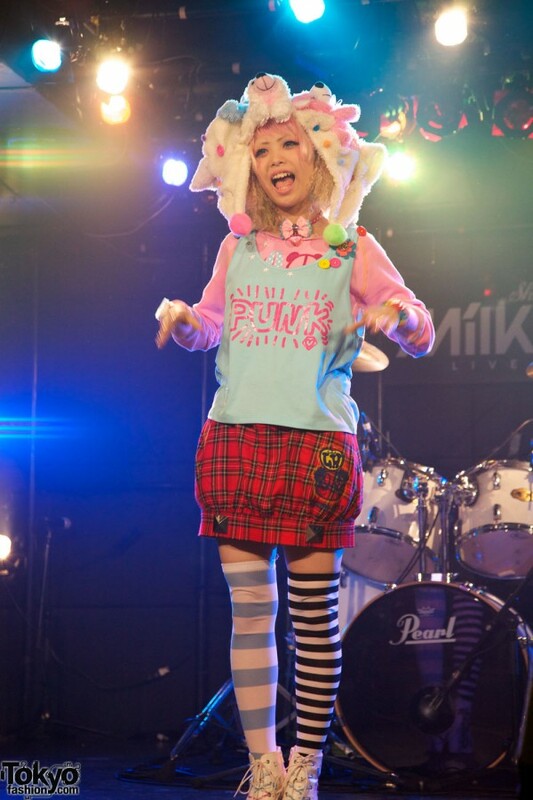 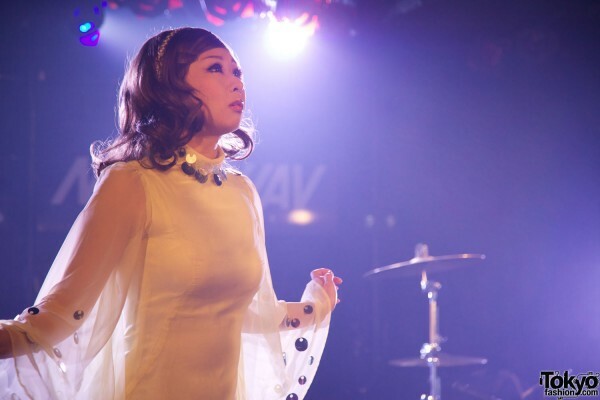 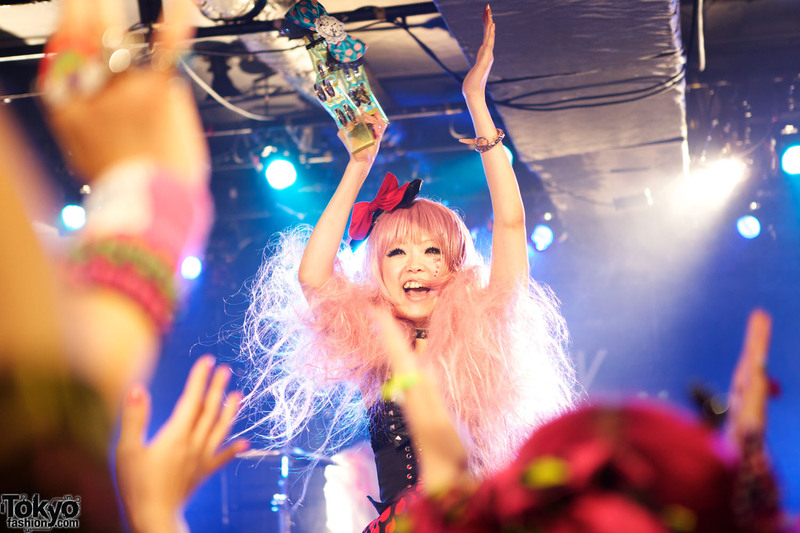 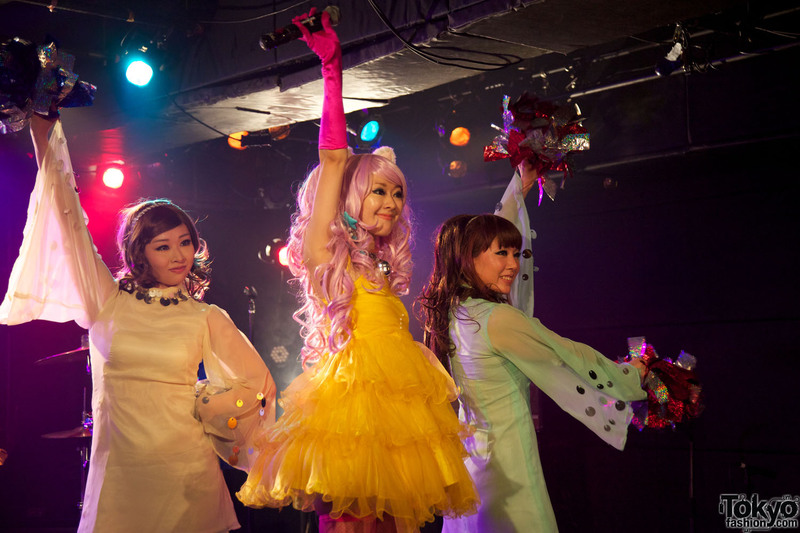 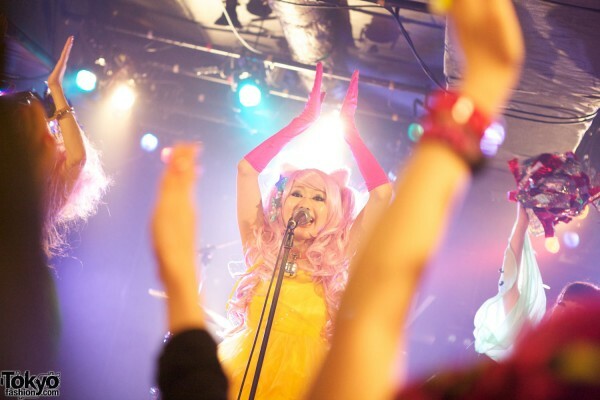 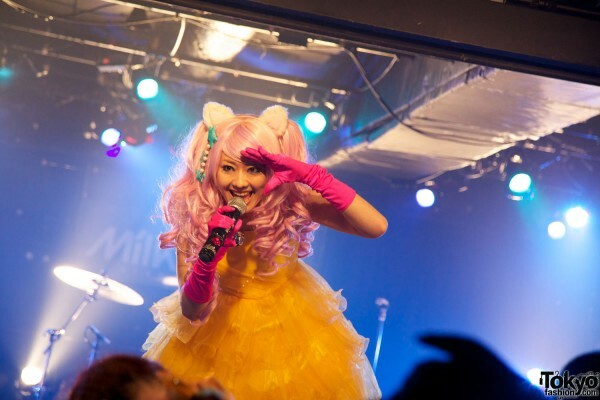 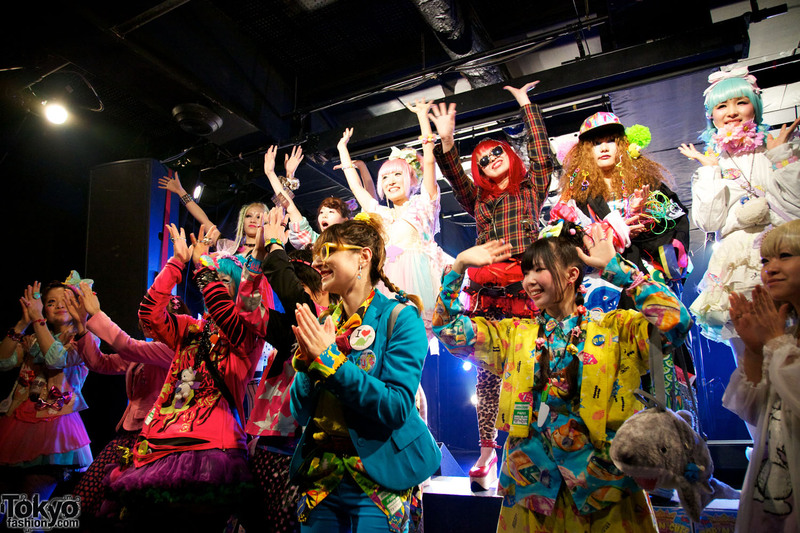 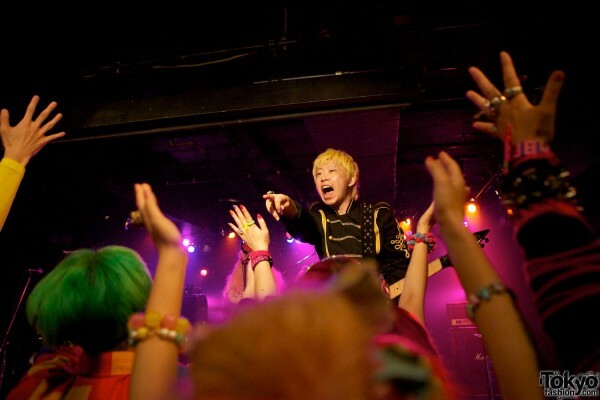 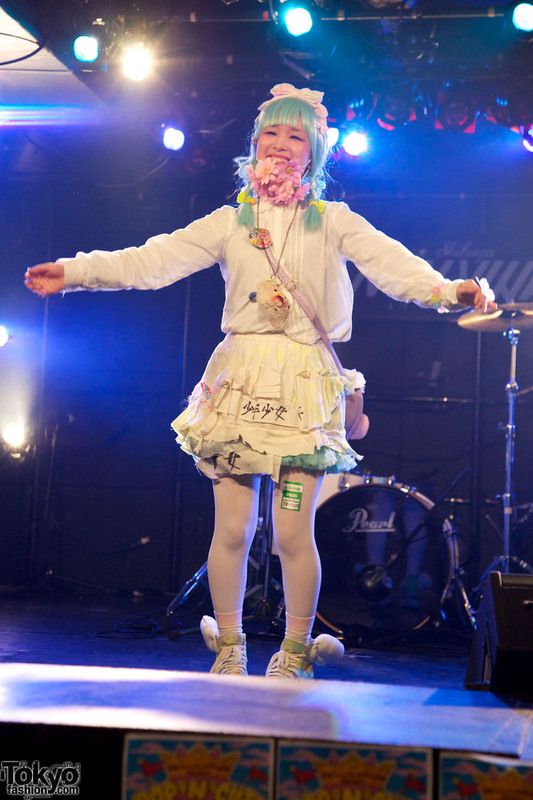 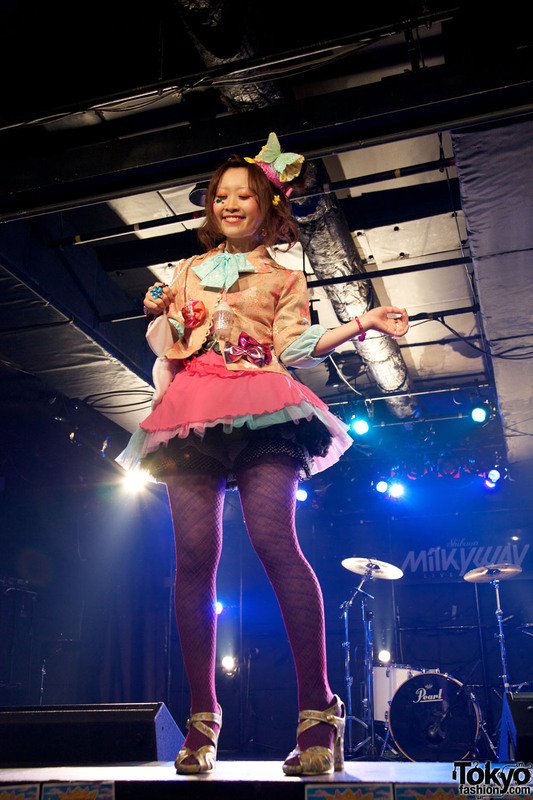 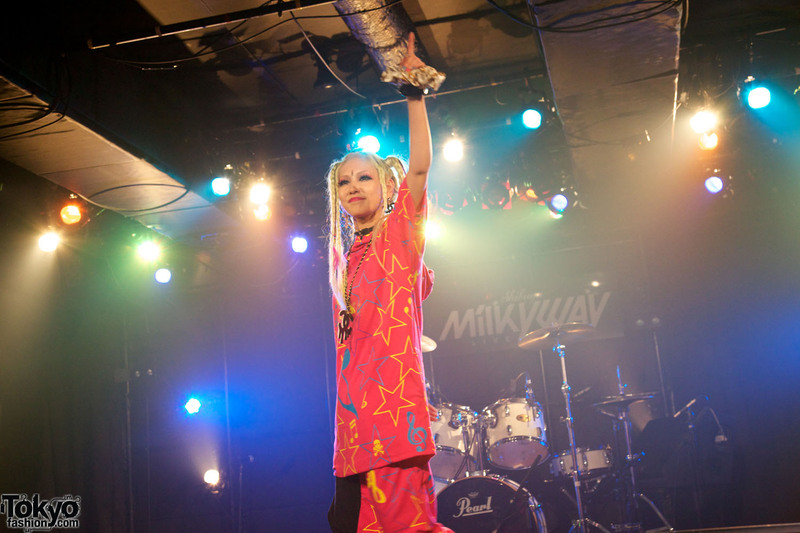 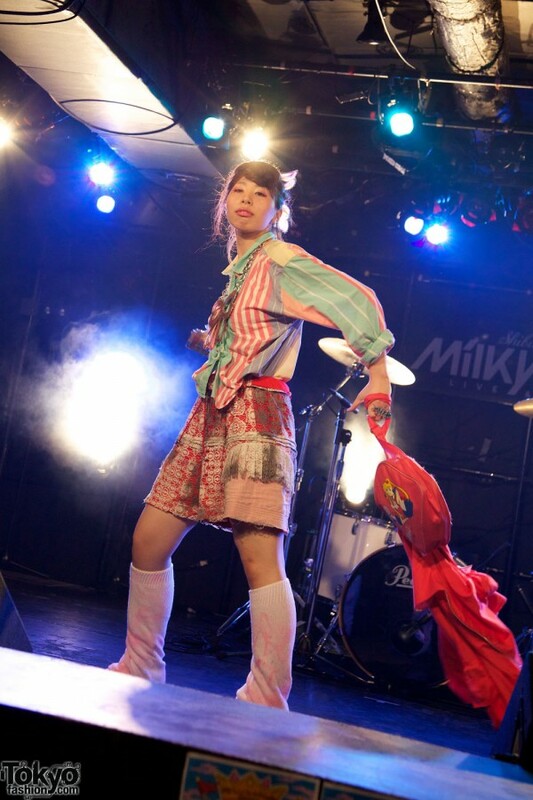 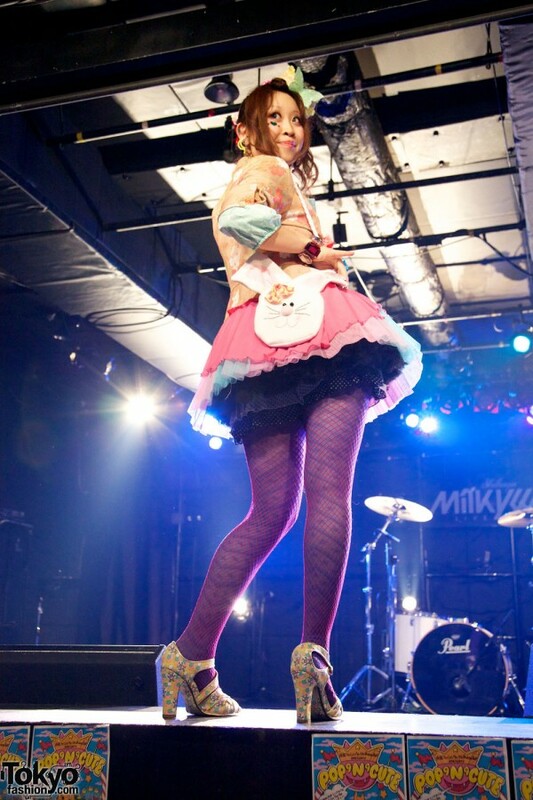 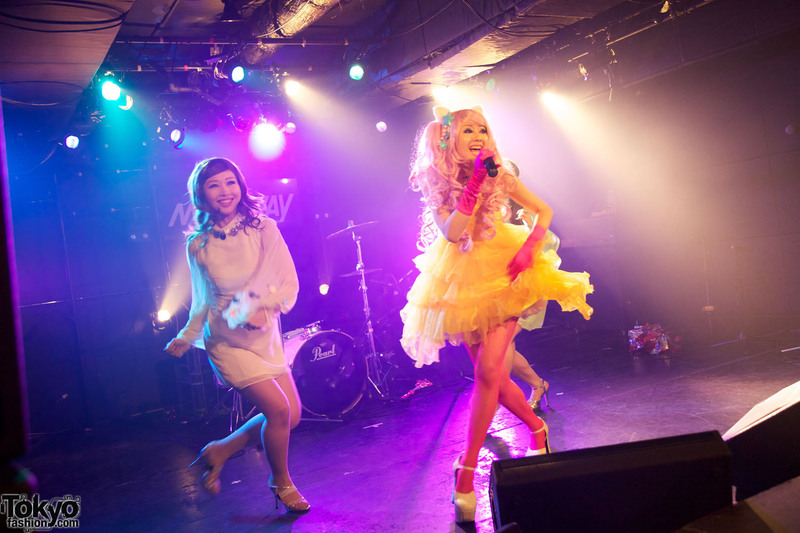 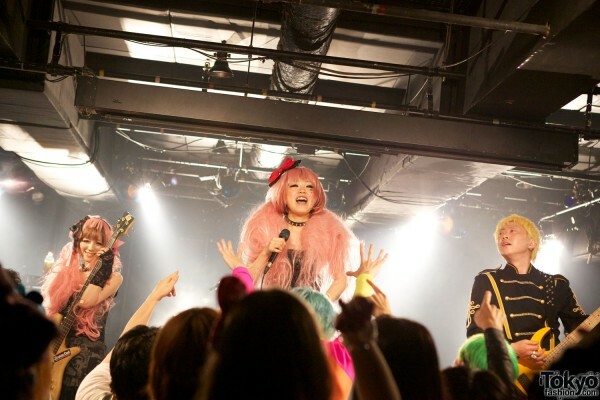 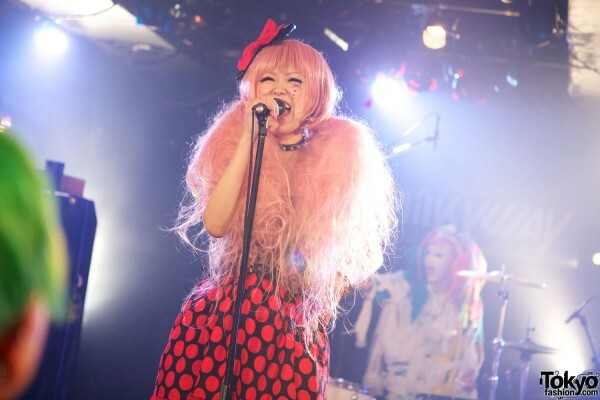 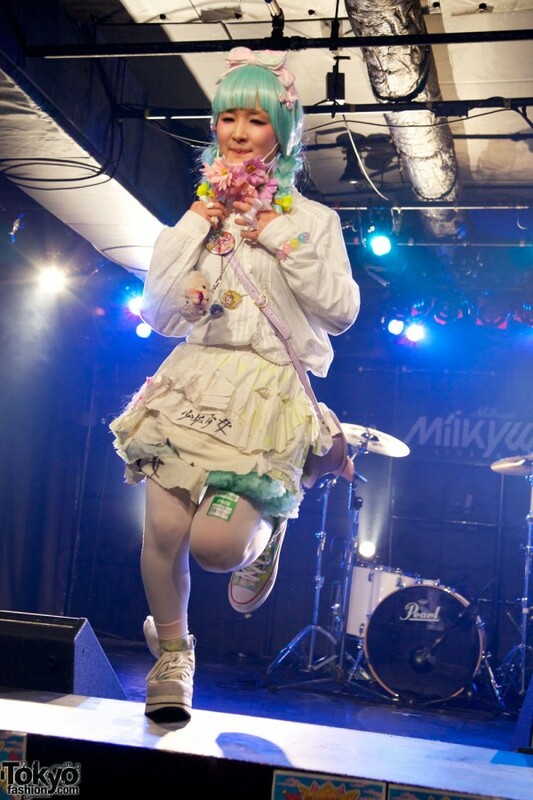 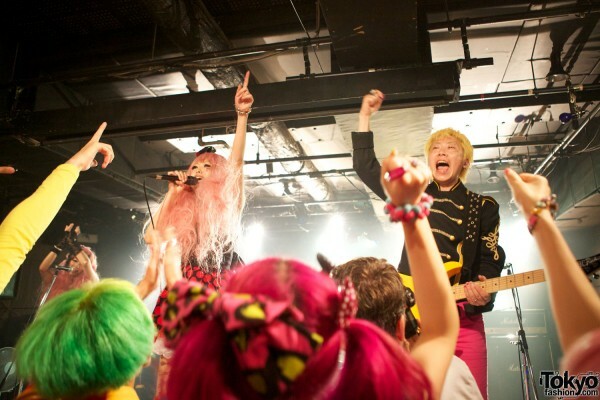 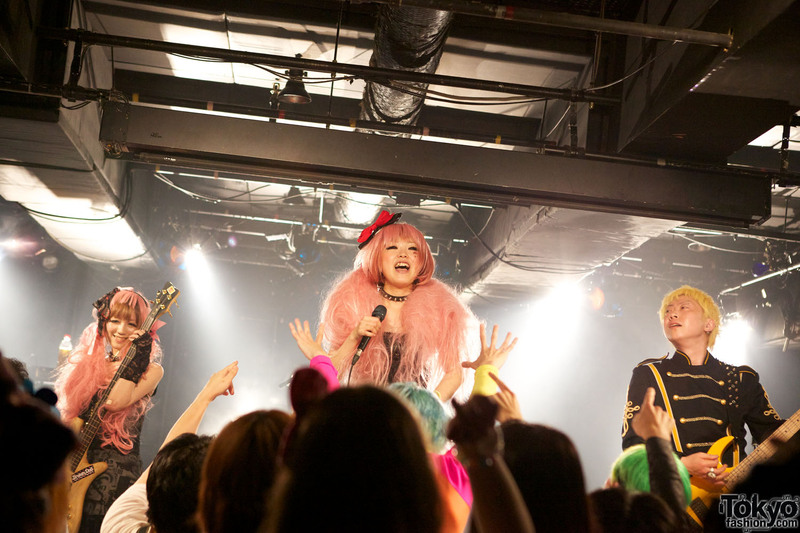 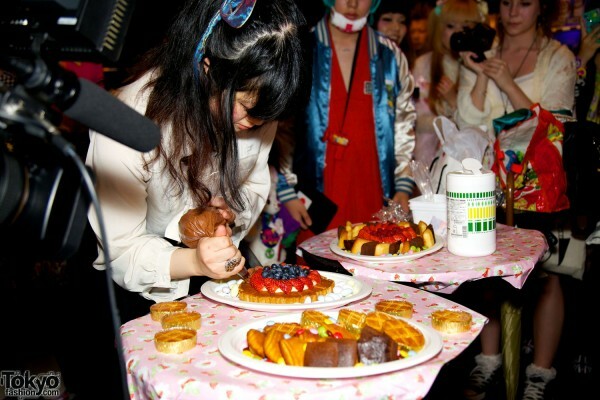 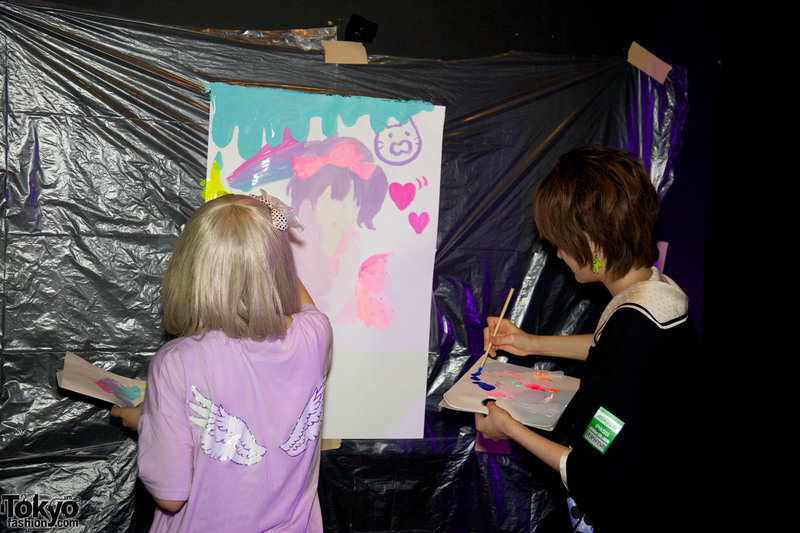 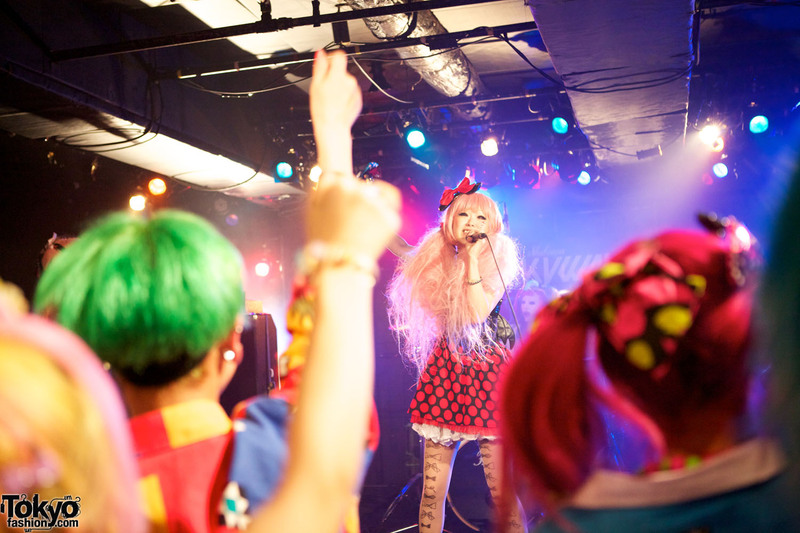 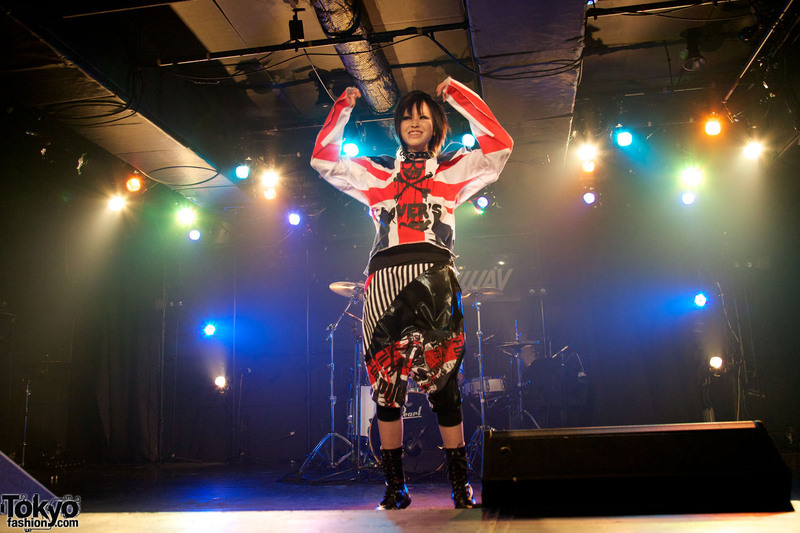 The latest Harajuku Fashion Walk-produced “Pop N Cute” party – held recently at Shibuya Milkyway in Tokyo – was their biggest party yet! Pop N Cute featured a mix of artists, models, musicians, fashion designers, and lots of random people with one common goal – fun! 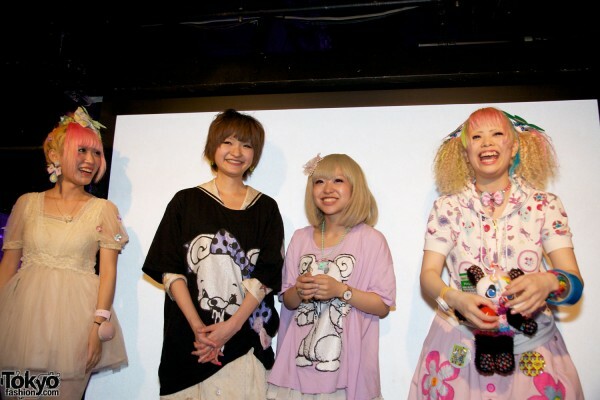 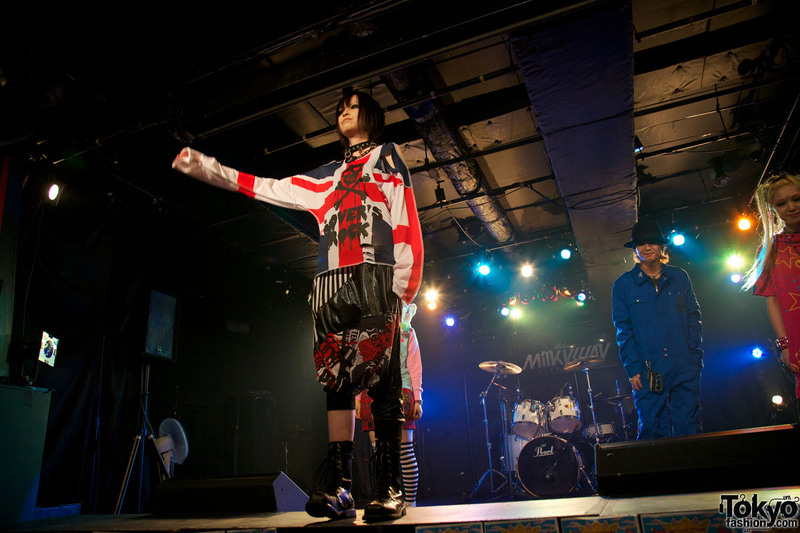 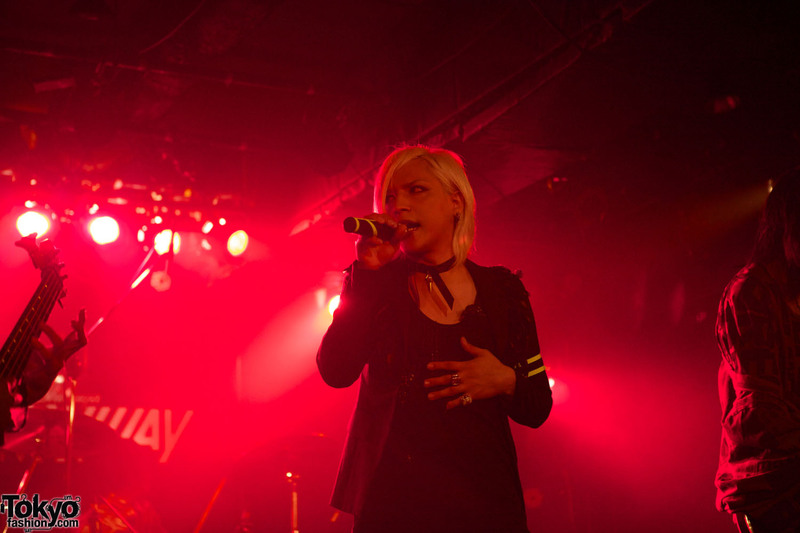 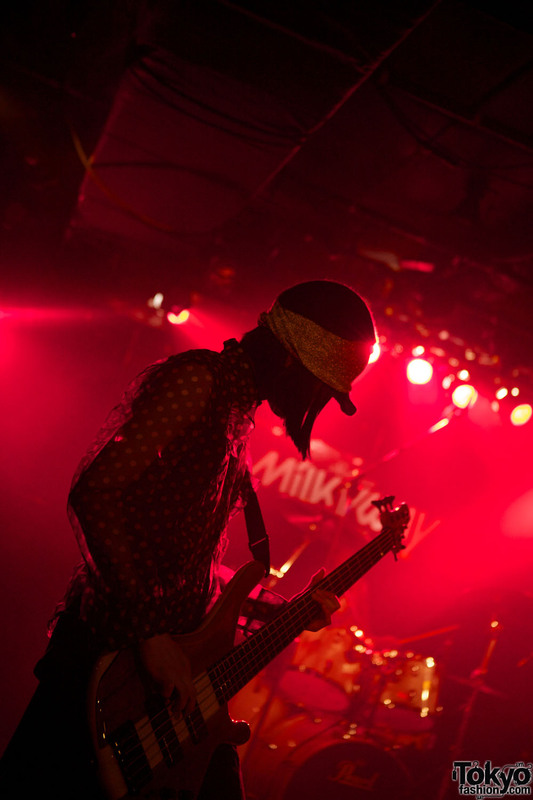 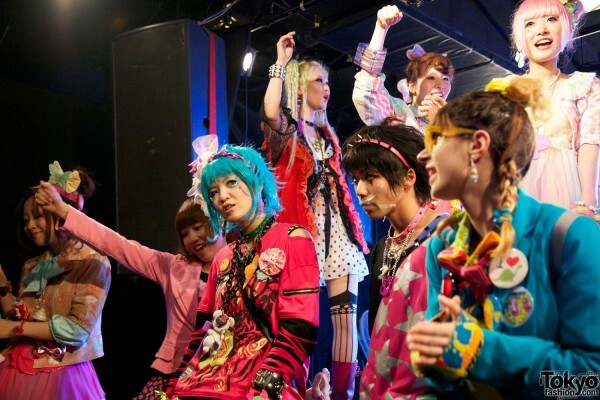 The lineup for this edition of Pop N Cute included Broken Doll (celebrating the release of their new album) and The Lady Spade (who joined Broken Doll on stage for a cover of Madonna’s “Material Girl”) as musical guests; fashion shows by Hyper Core, Super Lovers, and the Harajuku Fashion Walk Kids; popup shops by Broken Doll, 90884, Party Baby, and Maro’s brand; dancing by Shakey; live art by Kurebayashi (Kera model) and Karin & Machico; live sewing by Kumamiki; and DJing by Nico and Choco. 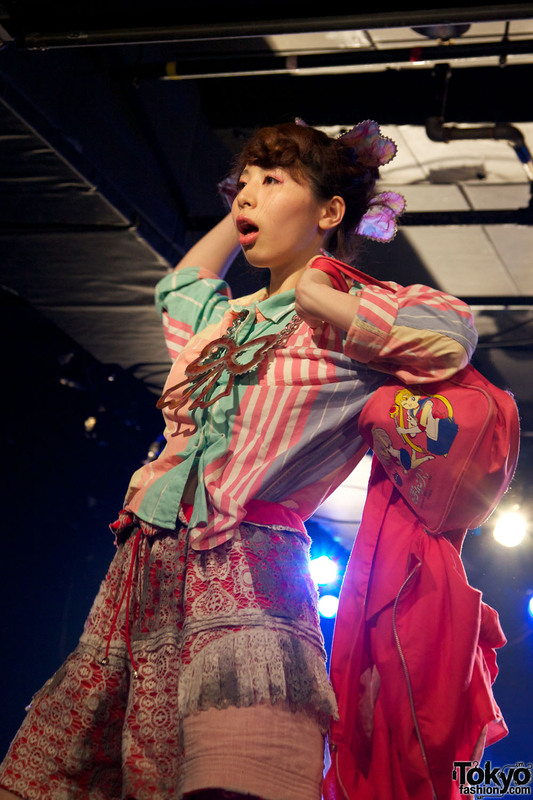 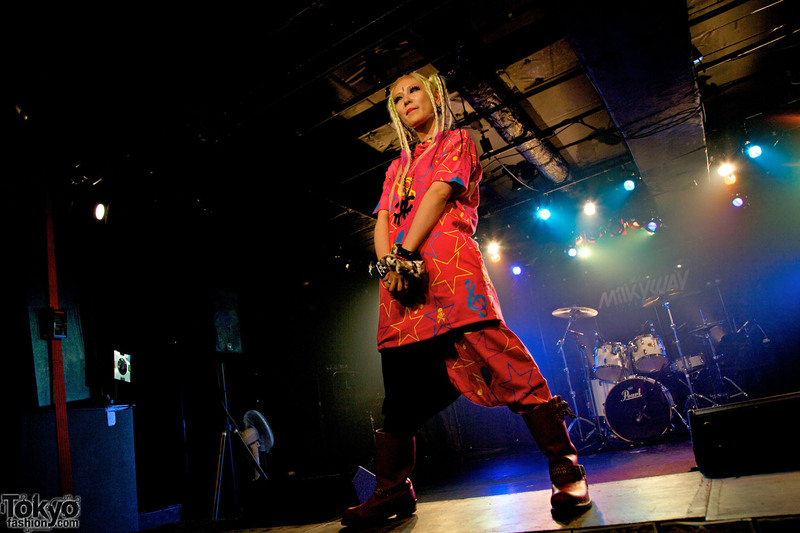 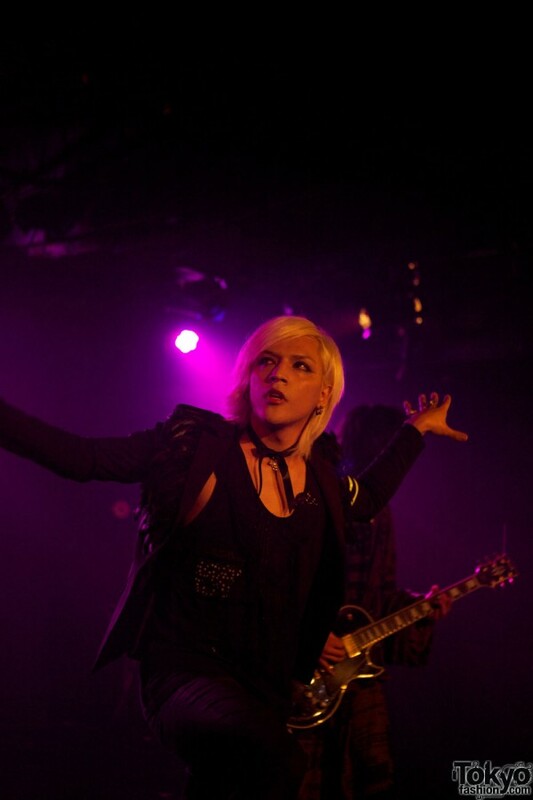 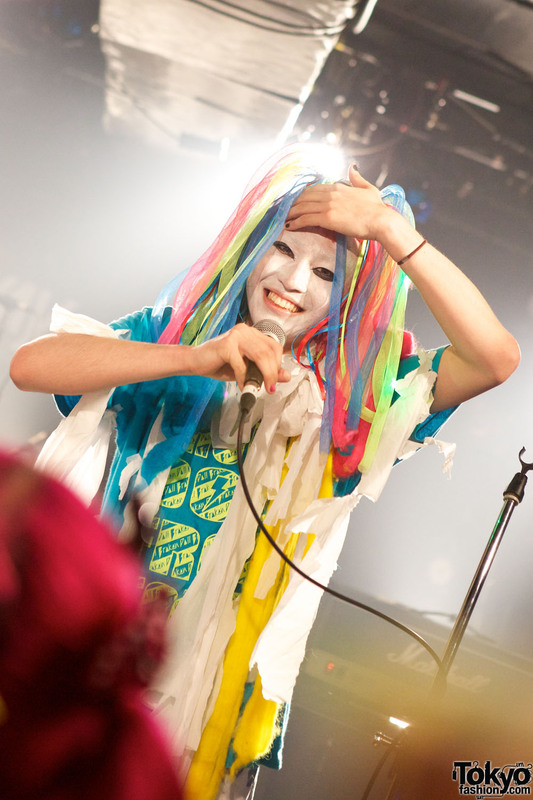 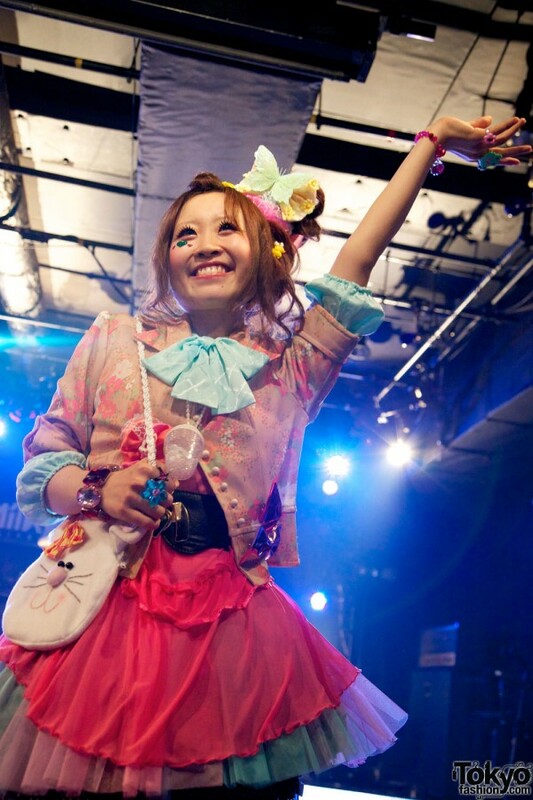 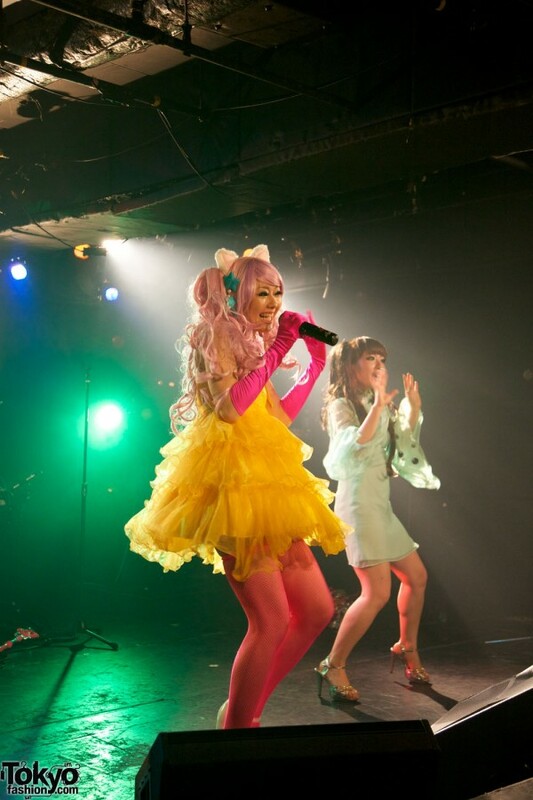 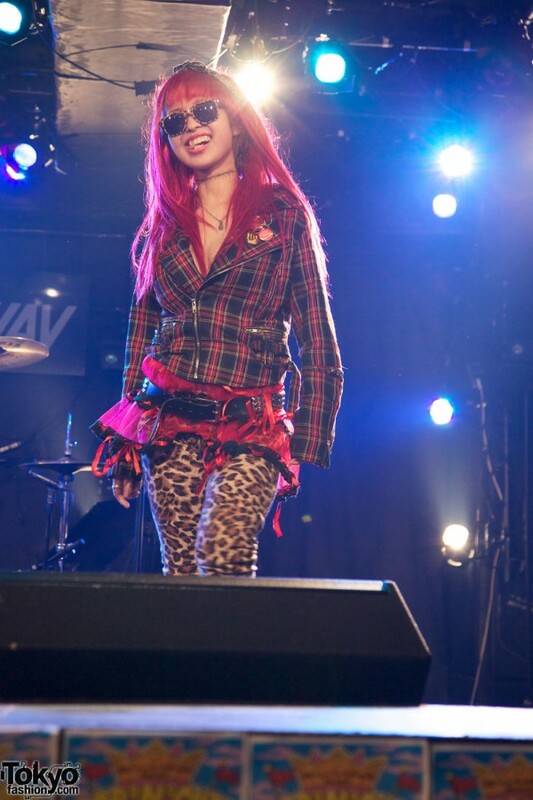 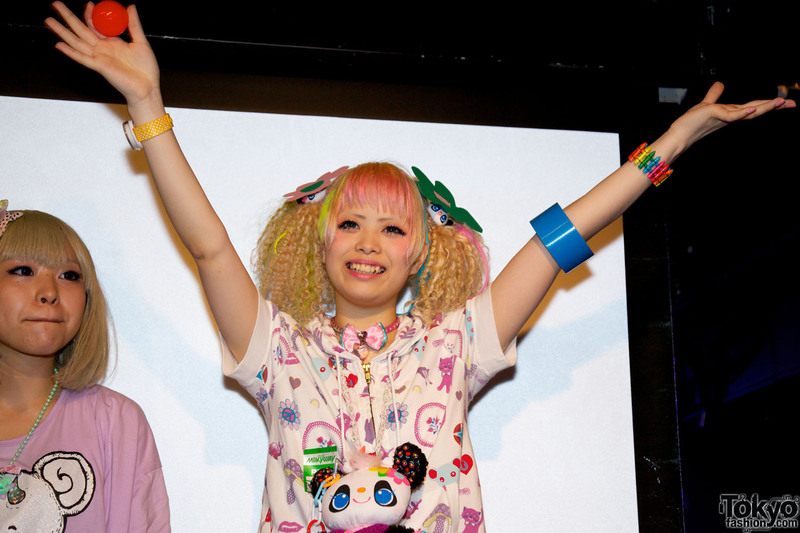 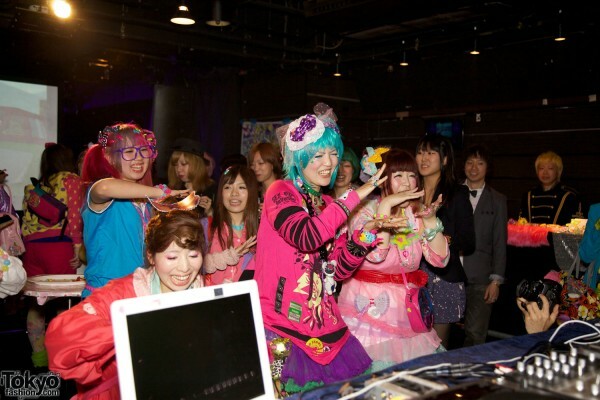 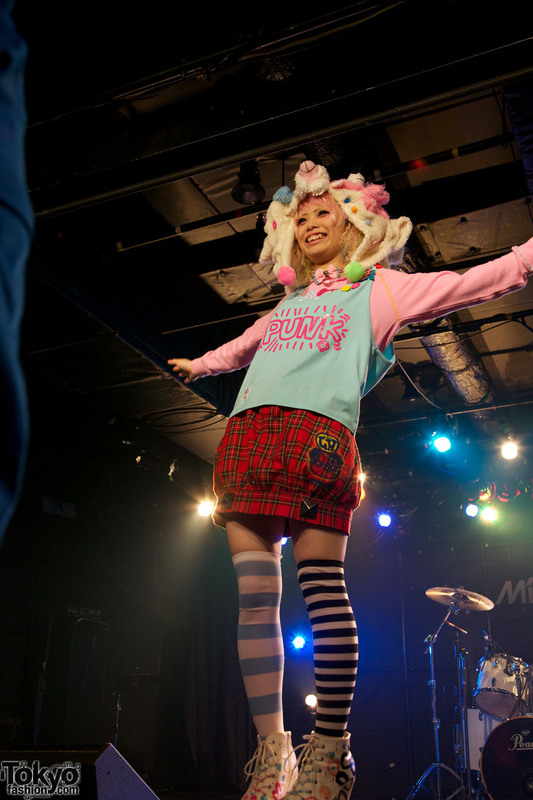 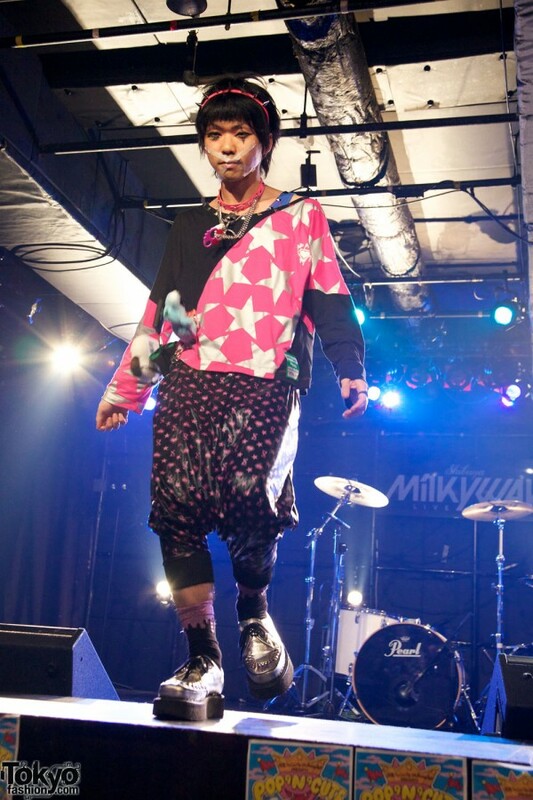 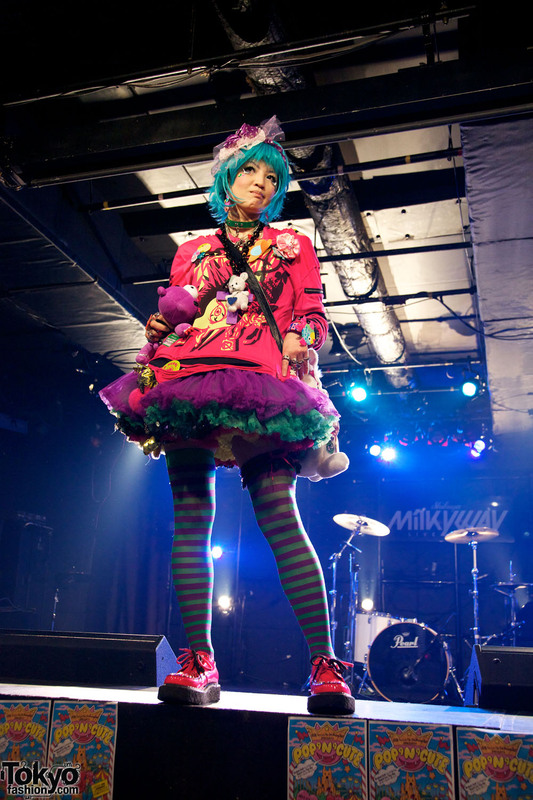 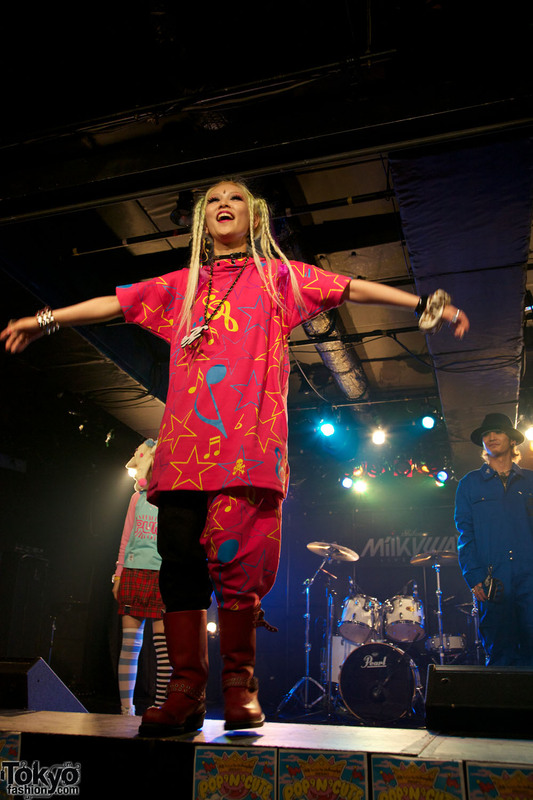 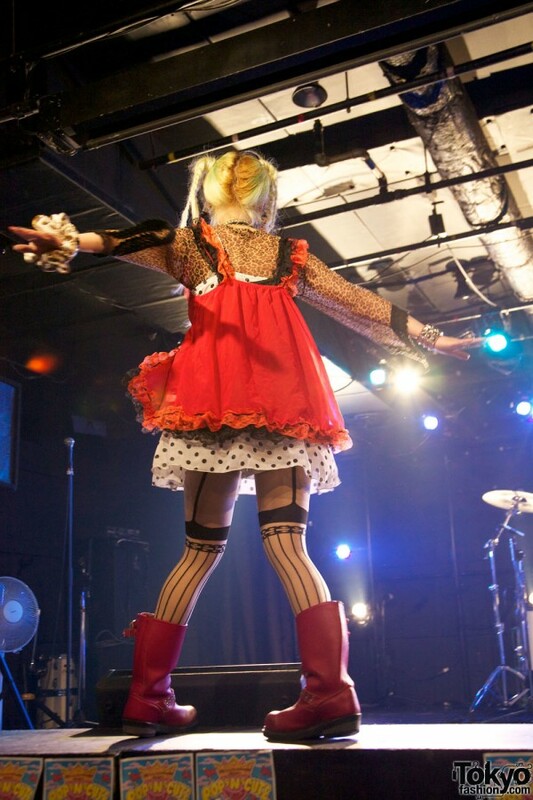 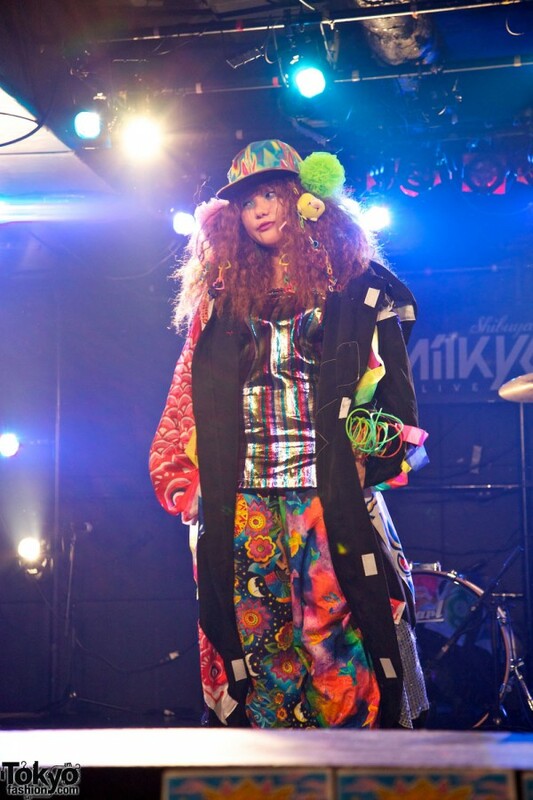 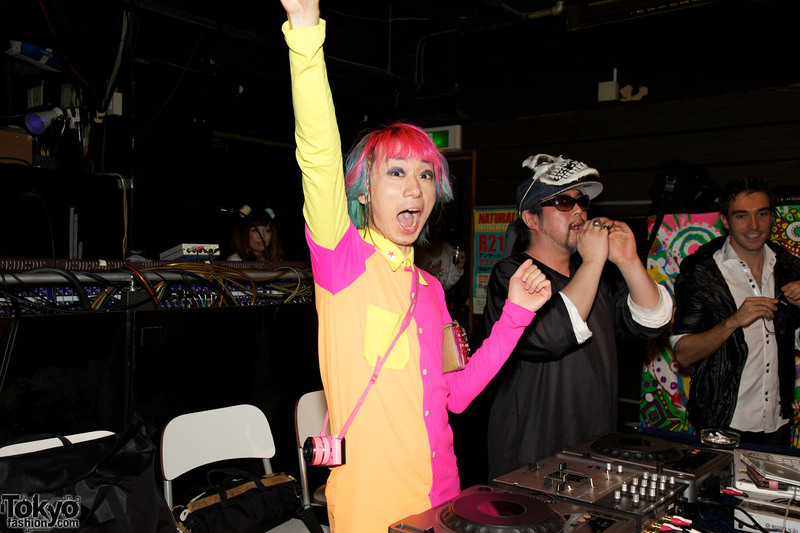 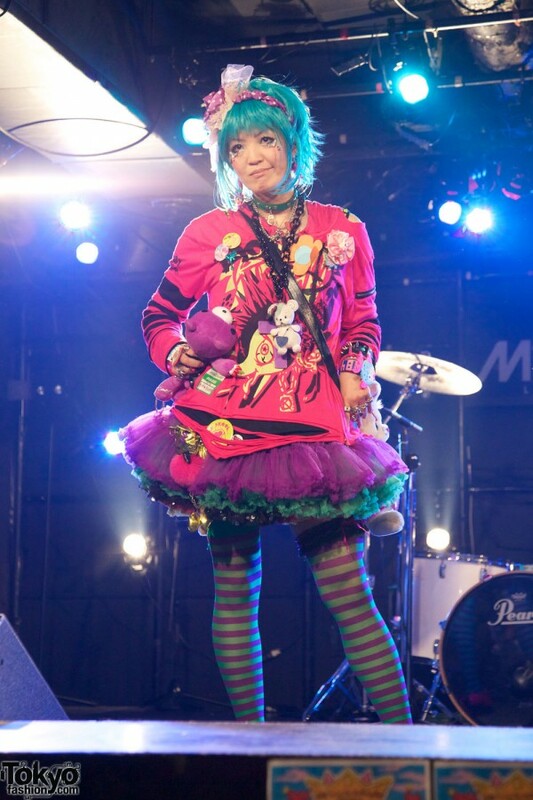 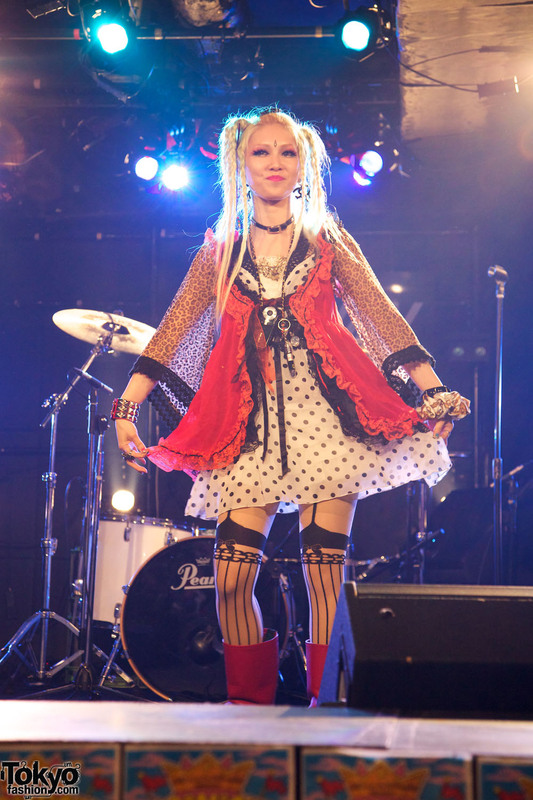 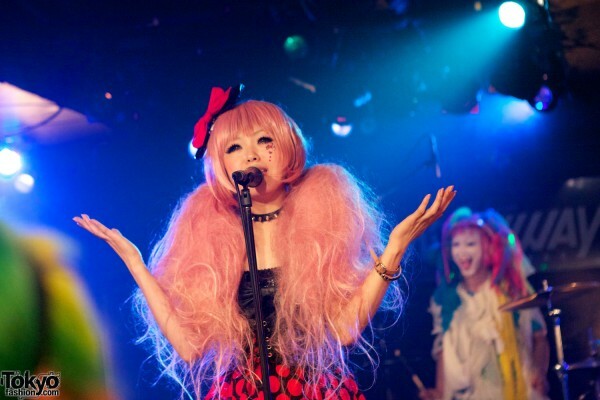 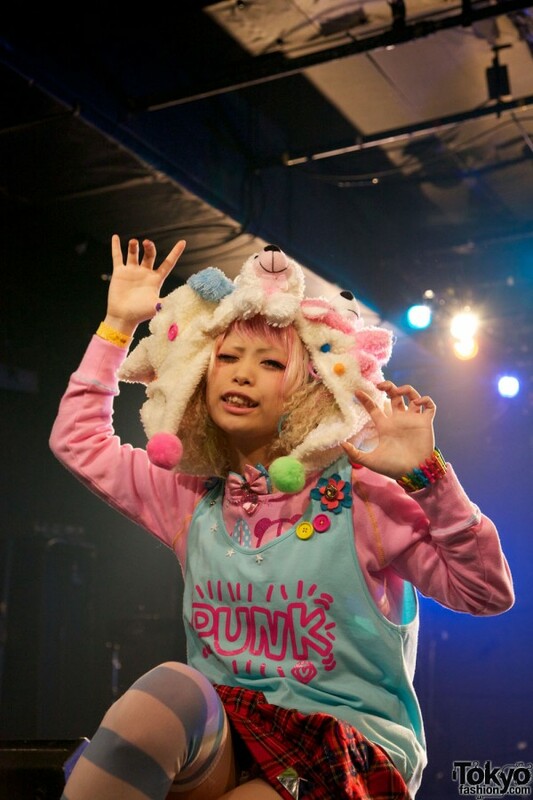 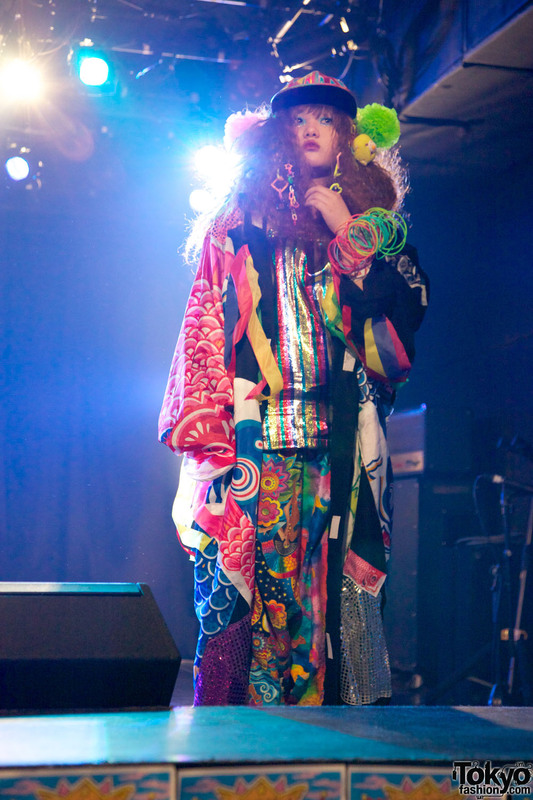 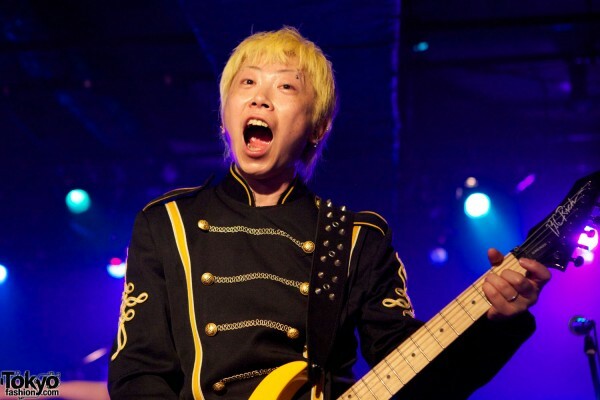 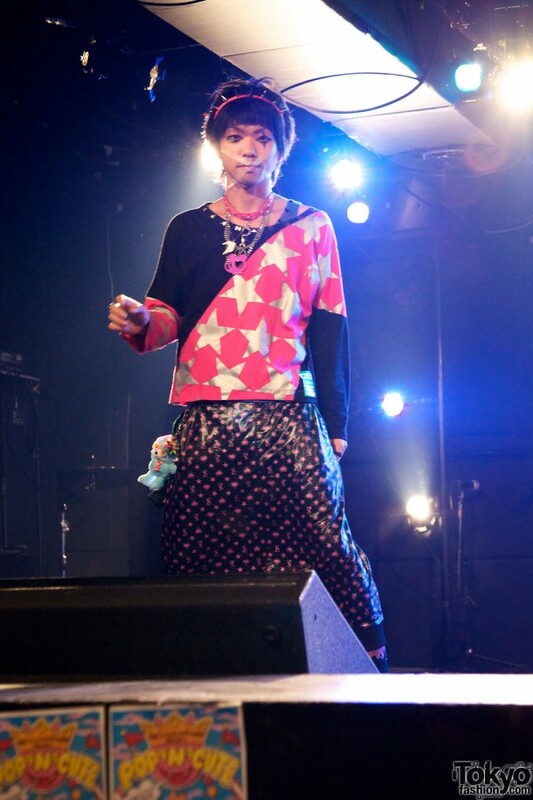 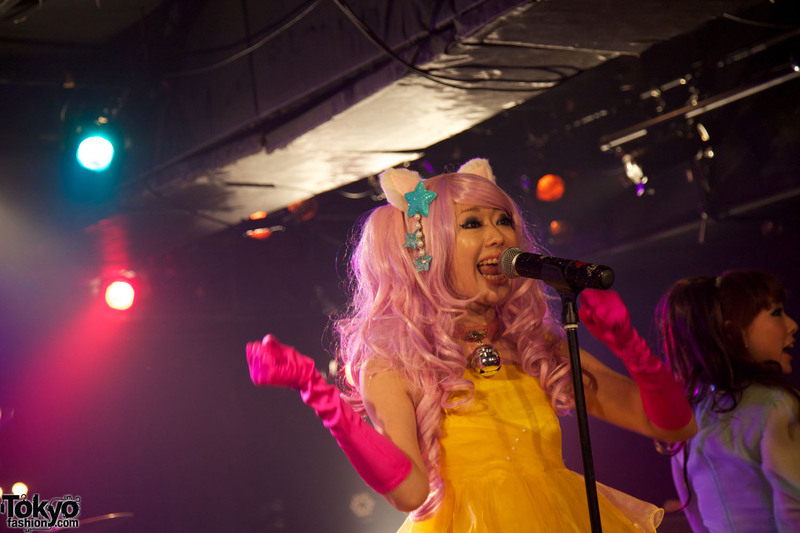 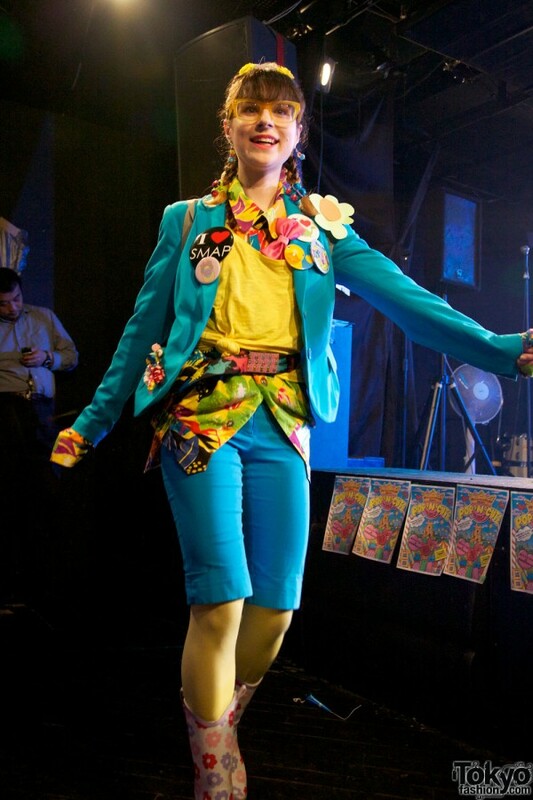 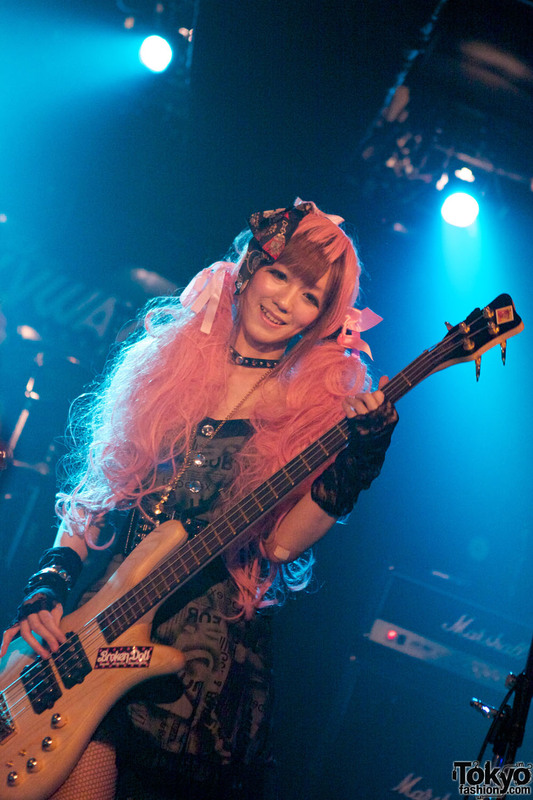 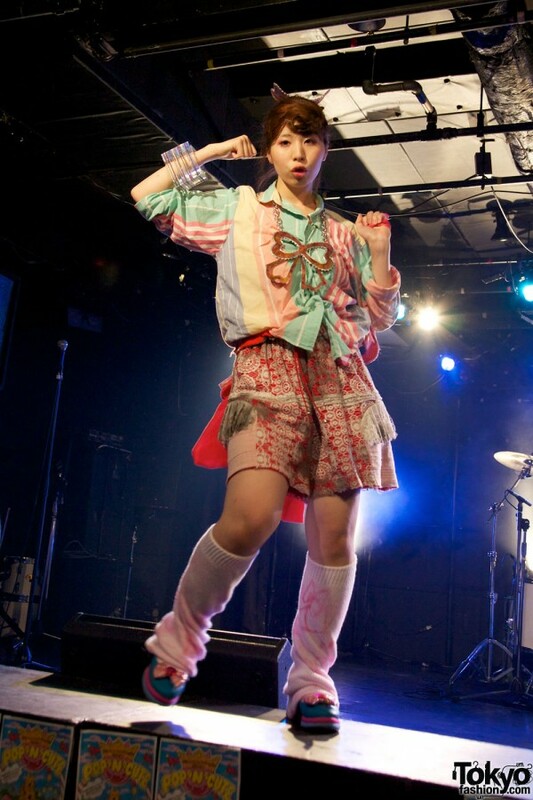 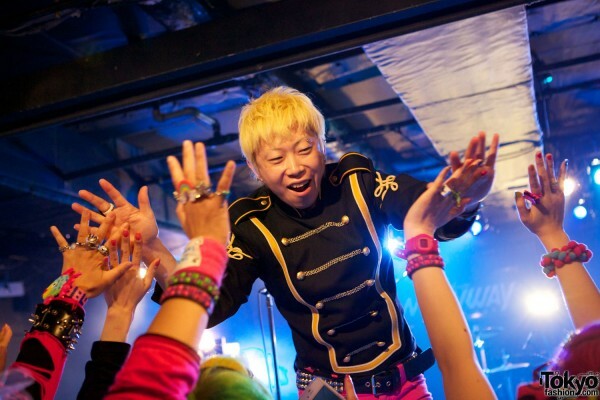 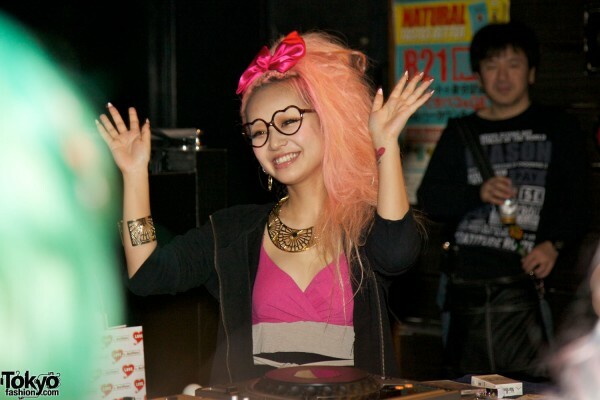 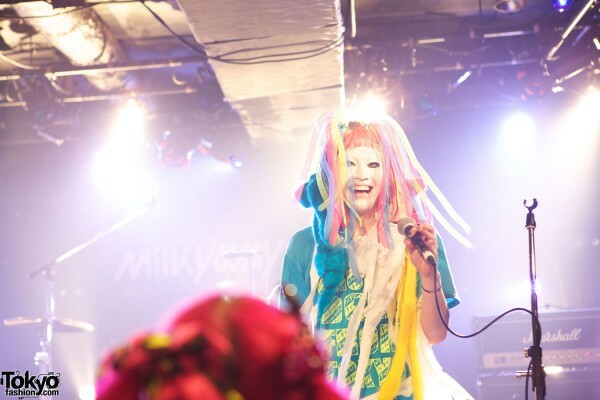 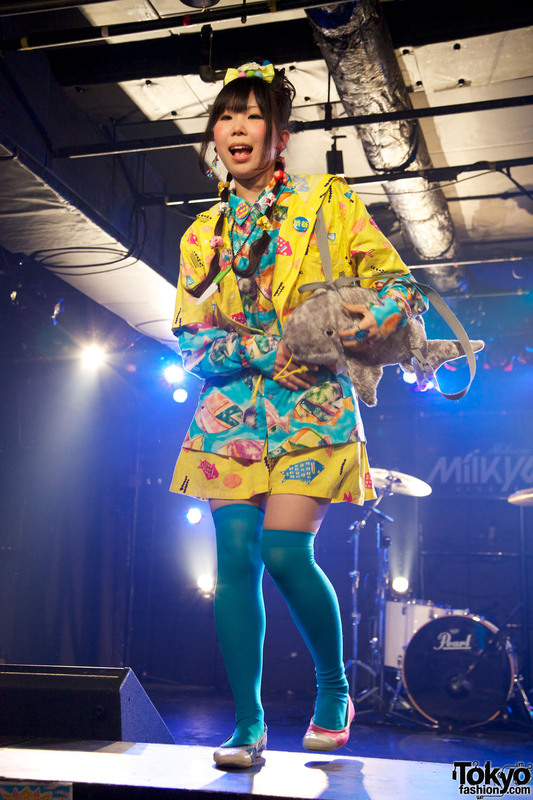 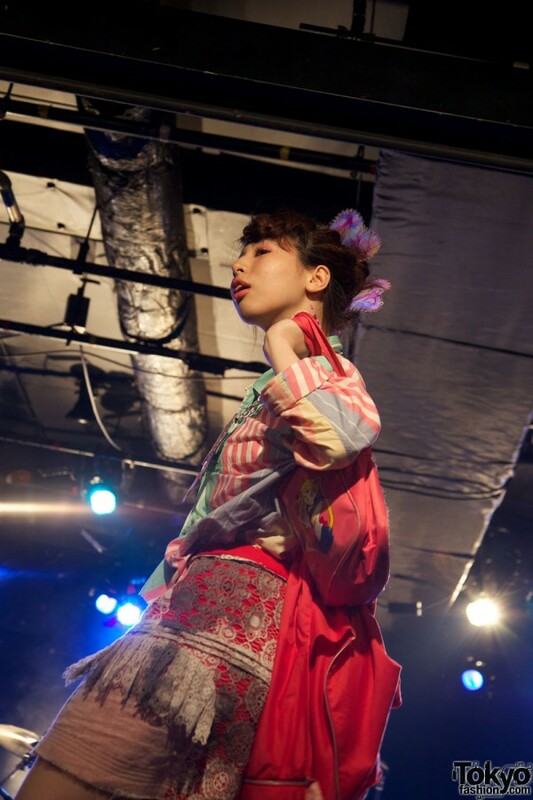 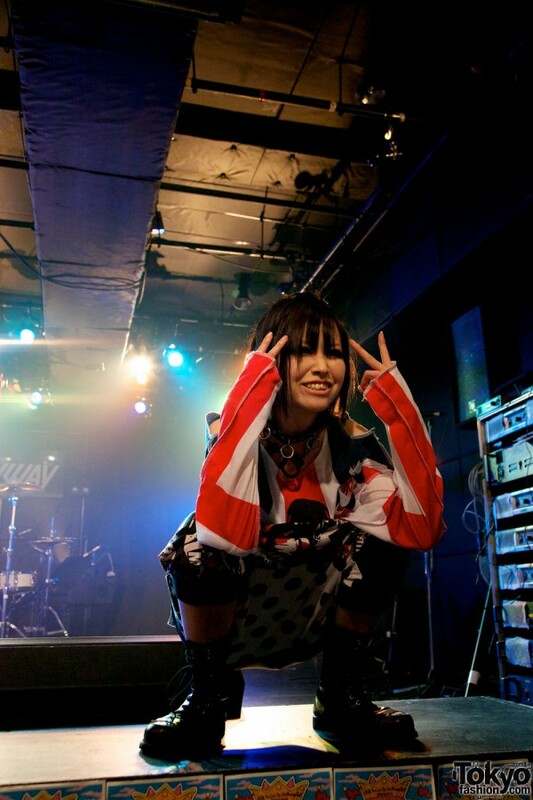 The crowd was also delighted when Harajuku legend Neeko made a surprise appearance! 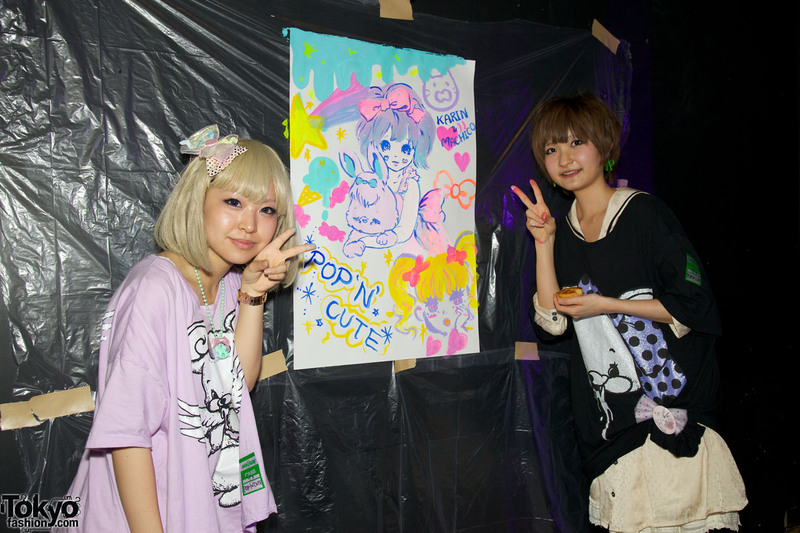 The party-goers at this edition of Pop N Cute were mostly Japanese, but there were also several international attendees. 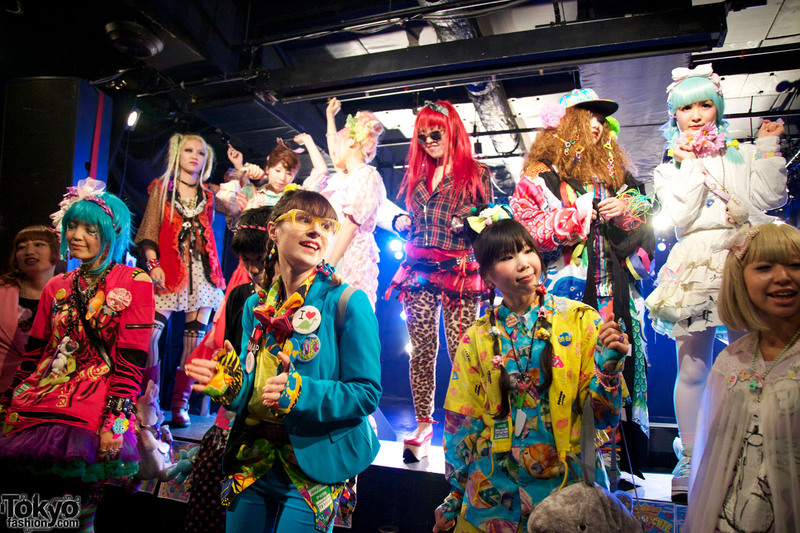 The promoters are actively encouraging foreigners to attend future Pop N Cute and Harajuku Fashion Walk events with the goal of building friendships and spreading Harajuku culture. 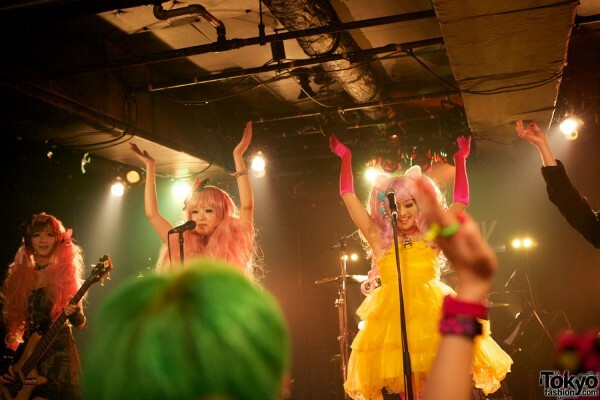 So if you’re planning to visit Tokyo, definitely check the Harajuku Fashion Walk schedule! 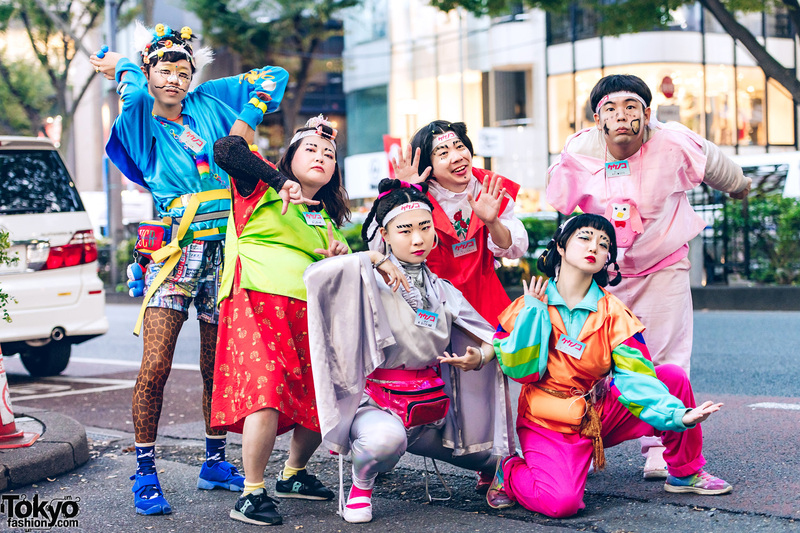 Over the last few years we have become good friends with the Harajuku Fashion Walk crew, so we were very happy to attend this event and bring back photos and video to share with you. 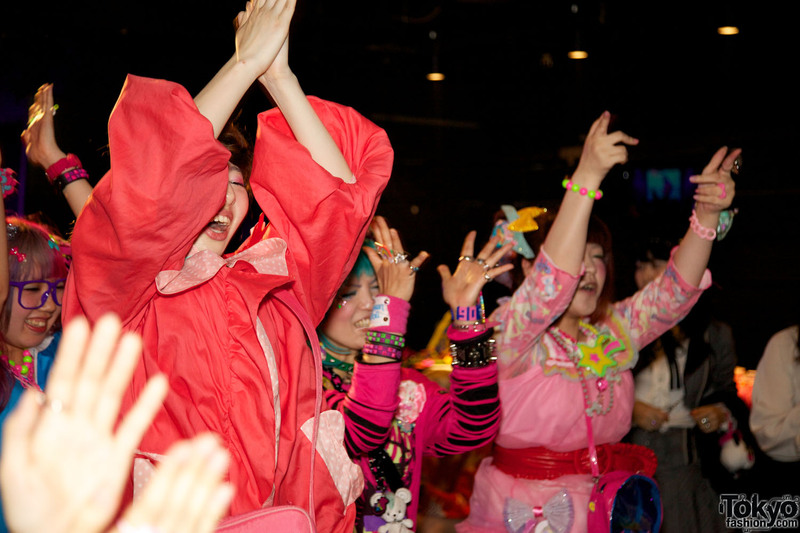 We hope that the images will give you an idea of how much fun everyone was having. We also hope that you’ll get a chance to join in person sometime soon! 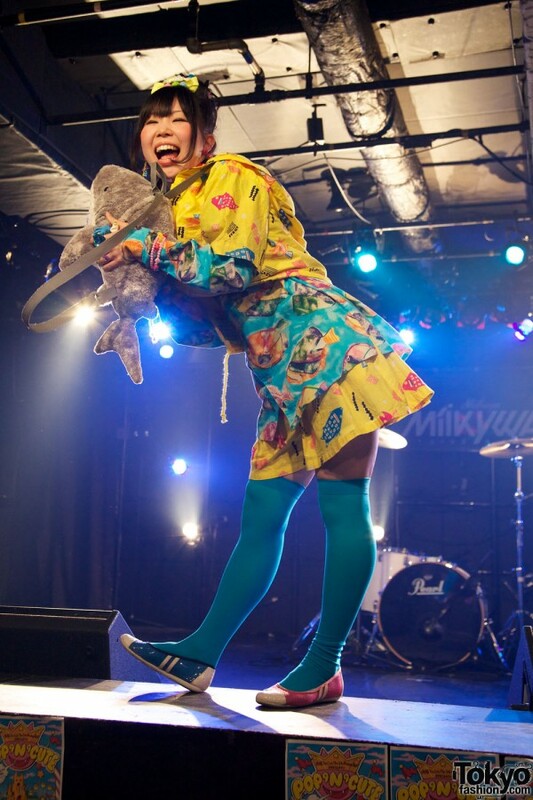 Enjoy all of the Pop N Cute awesomeness, and remember that you can click any of the pictures to see them in high resolution! 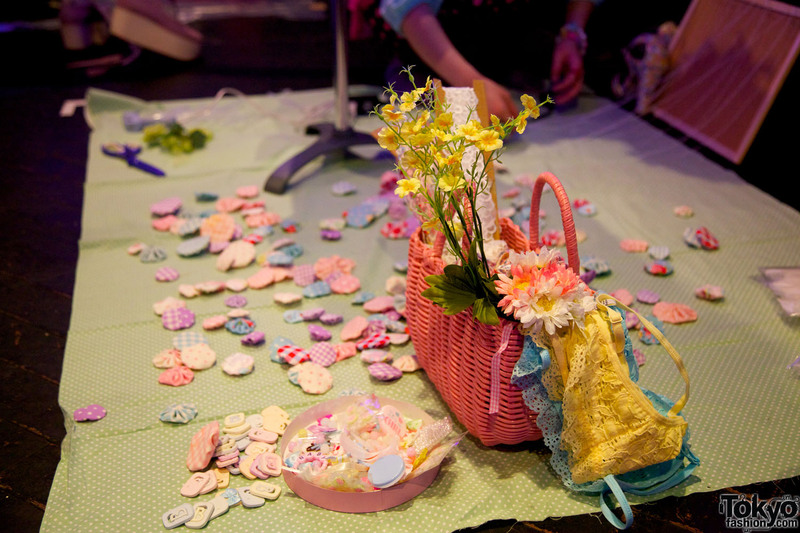 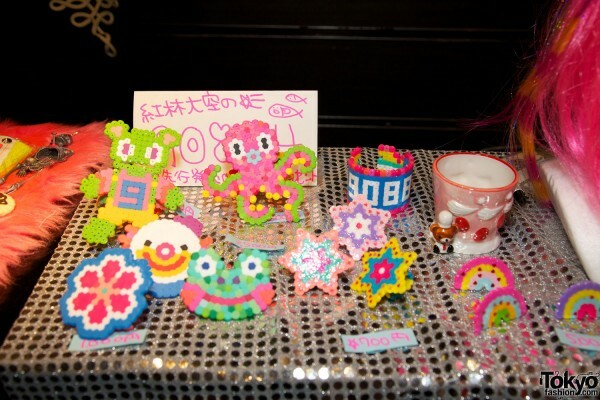 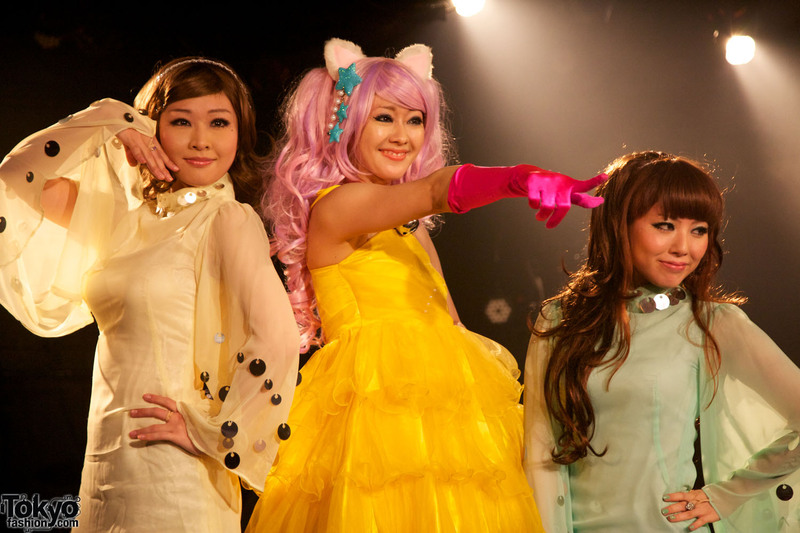 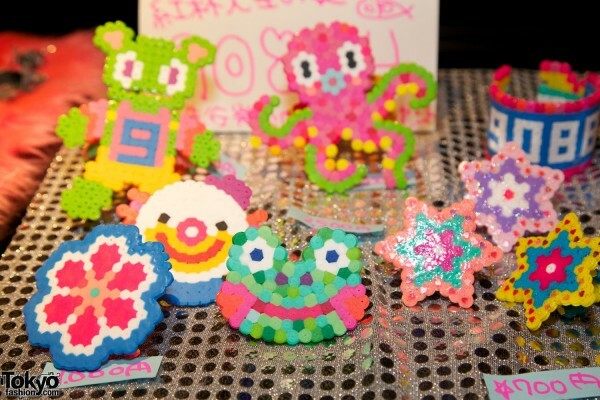 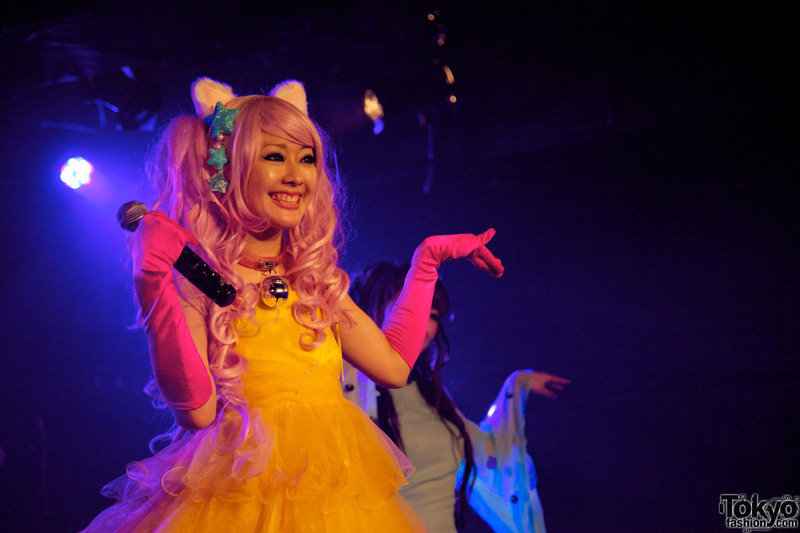 Also, check out the second part of our coverage, featuring snaps of the kawaii fashion worn by Pop N Cute party-goers. 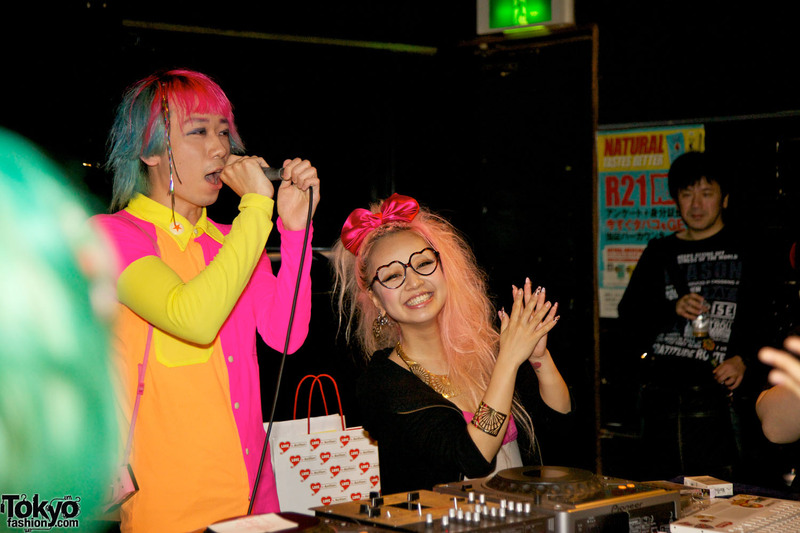 Click on any of the Pop N Cute party pics to enlarge them! 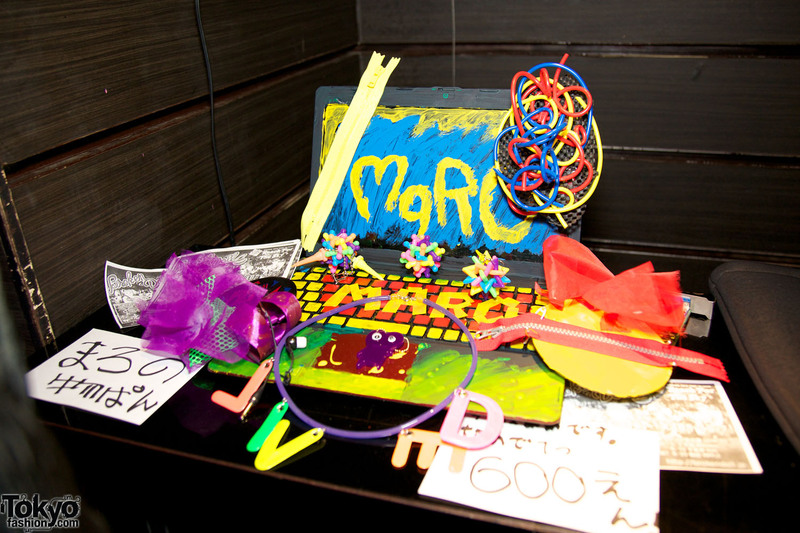 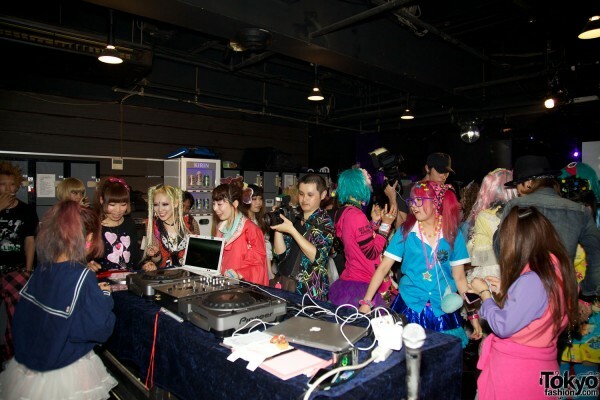 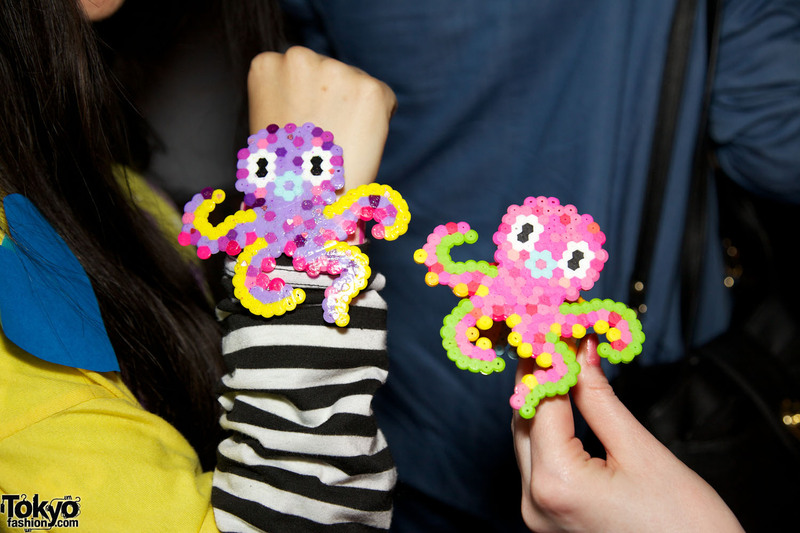 A big thank you to the entire Harajuku Fashion Walk and Pop N Cute crew, as well as everyone who attended the party. 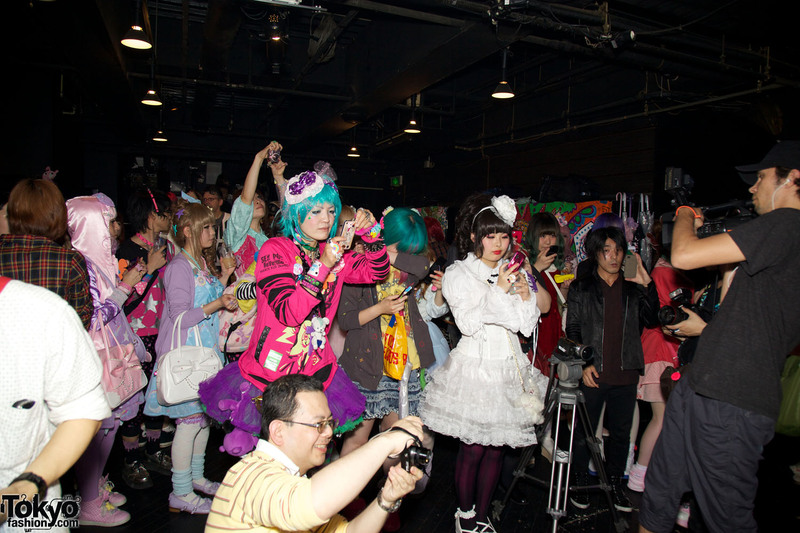 We had a great time and appreciate everybody posing for our pictures and video. 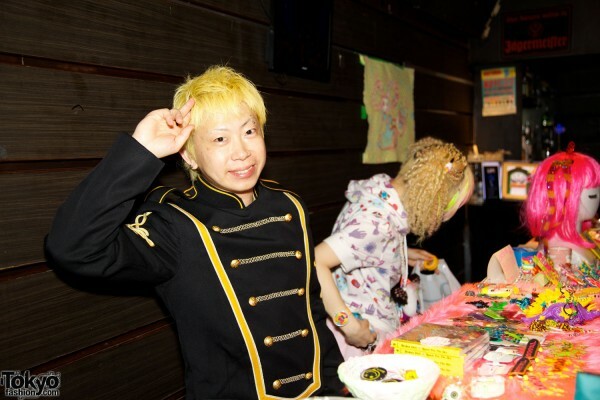 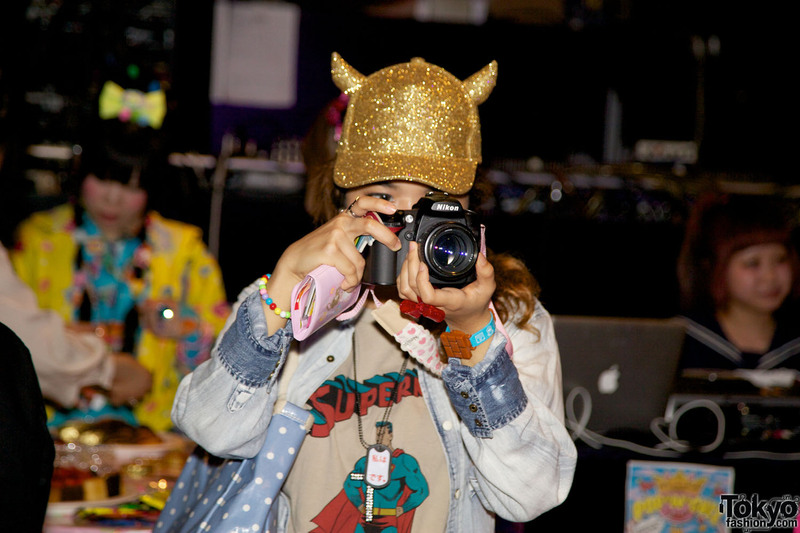 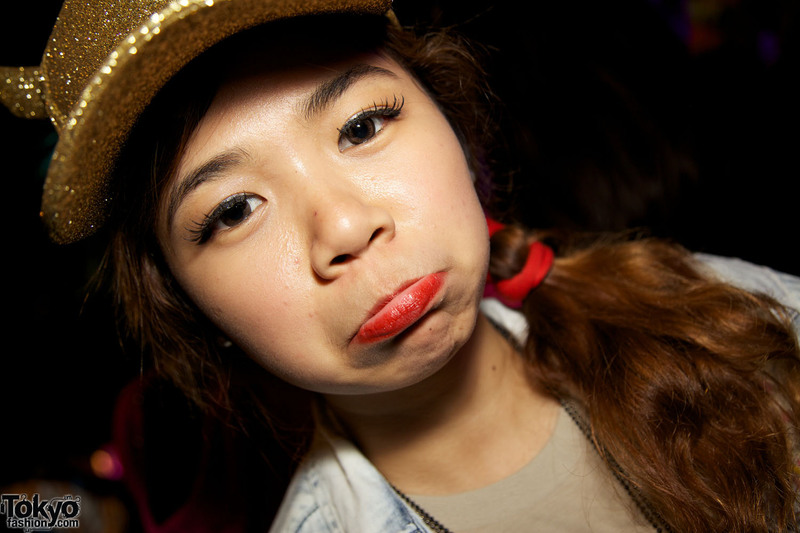 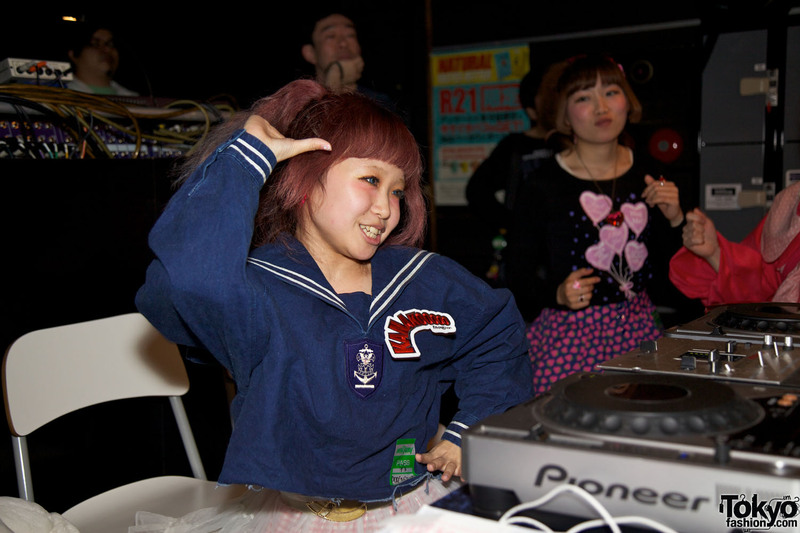 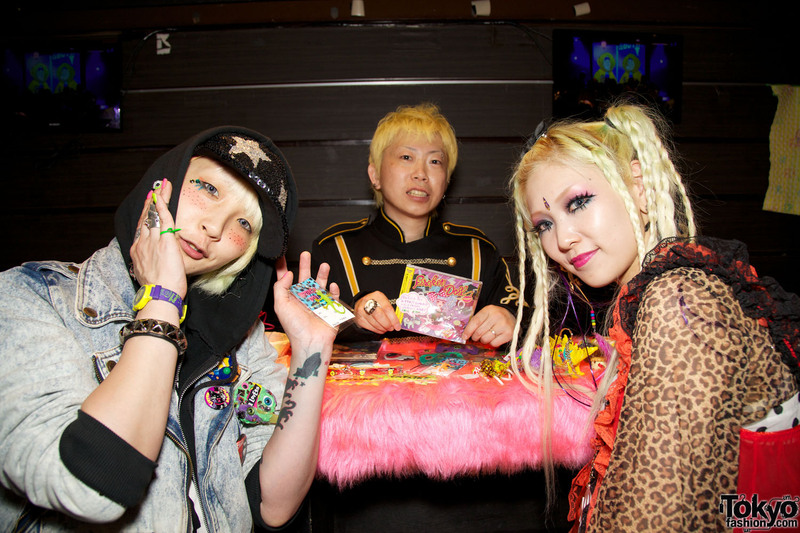 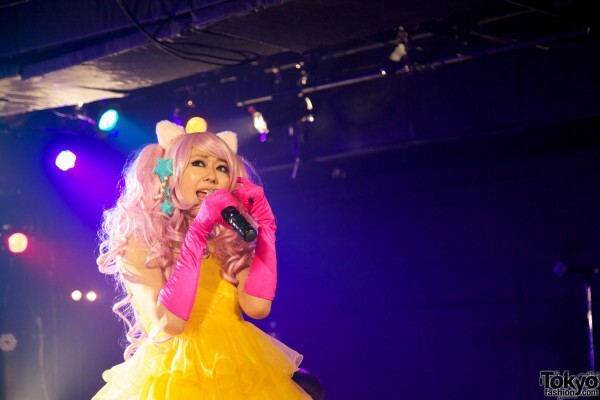 Please don’t miss the second part of our coverage featuring kawaii snaps of many of the Pop N Cute party-goers! 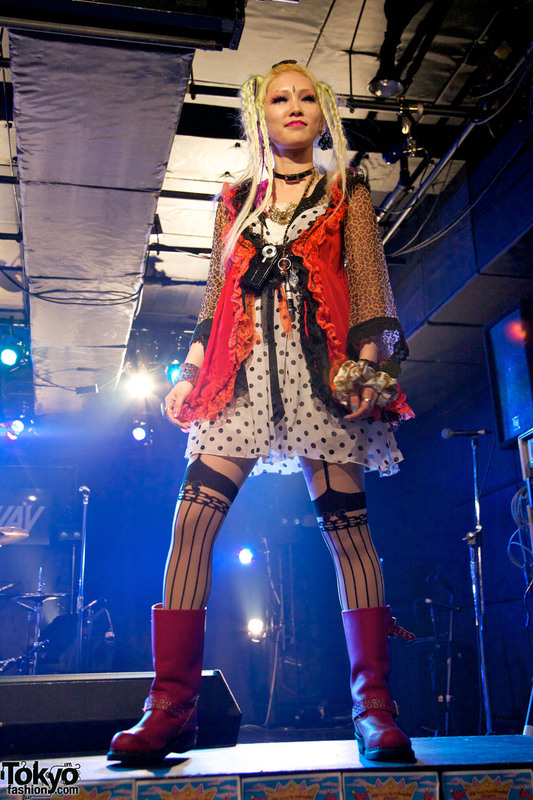 I have those exact same robo knee-highs! 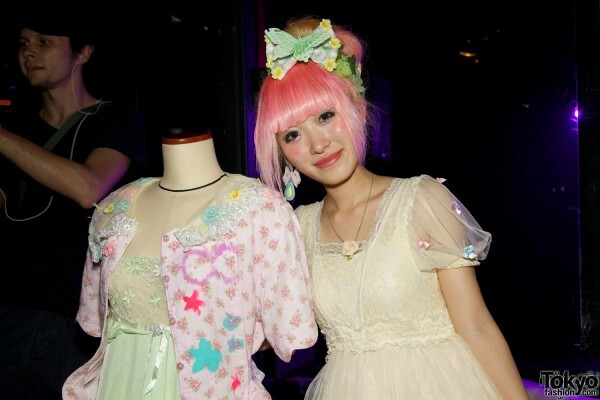 Ahh two of my favourite models in the same place :3 I hope I get a chance to meet Neeko and Kurebayashi when I go over!! Oh My God, everything is soooo COOL! is there an official website? 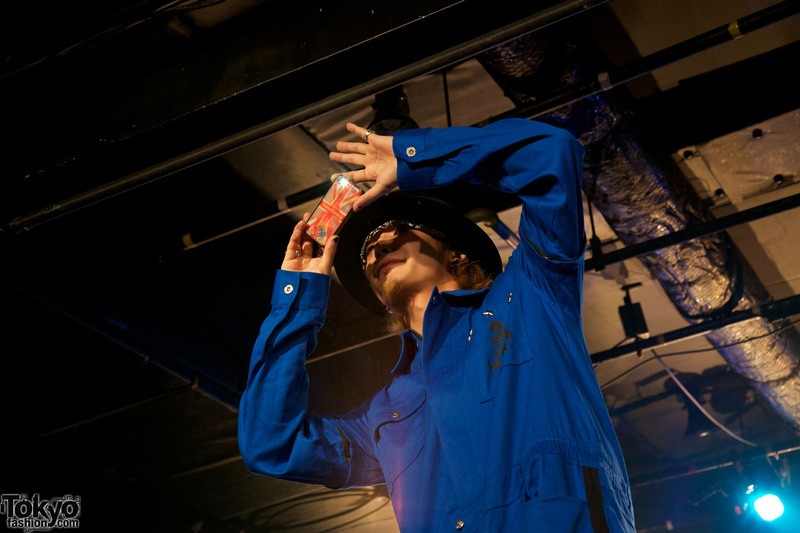 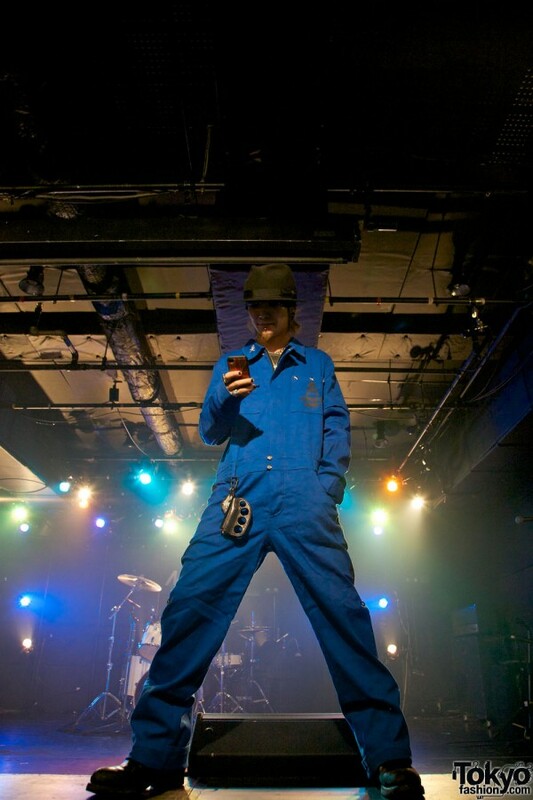 I’ll be in tokyo soon and want to attend some events like this, is there a list of where I can go during my trip to tokyo? 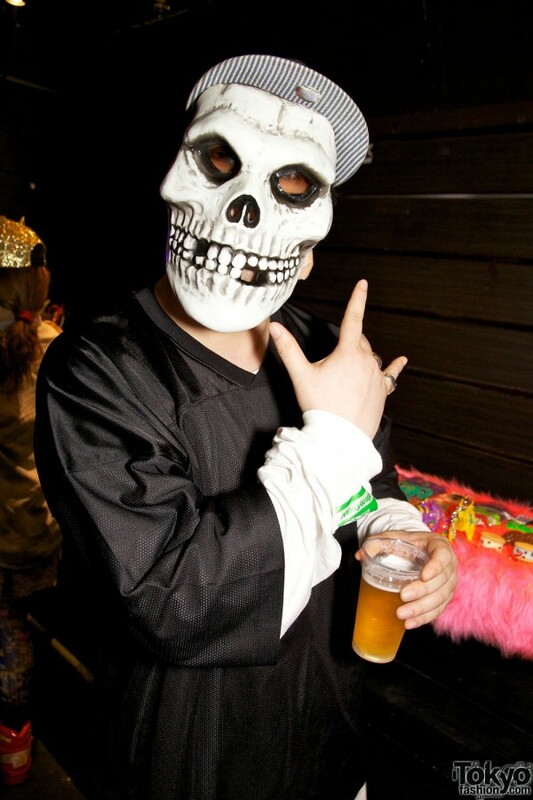 please do let me know!